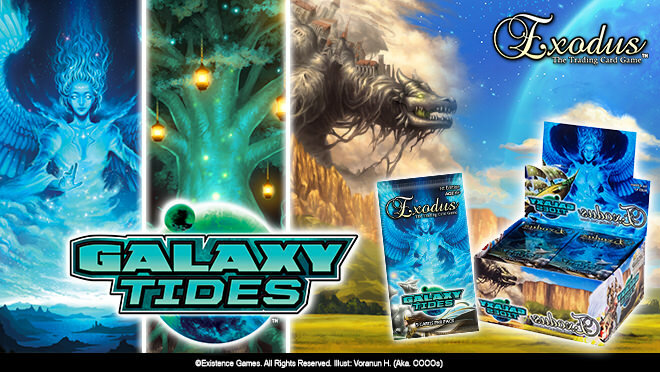 Galaxy Tides Booster Cards For Exodus Trading Cards! 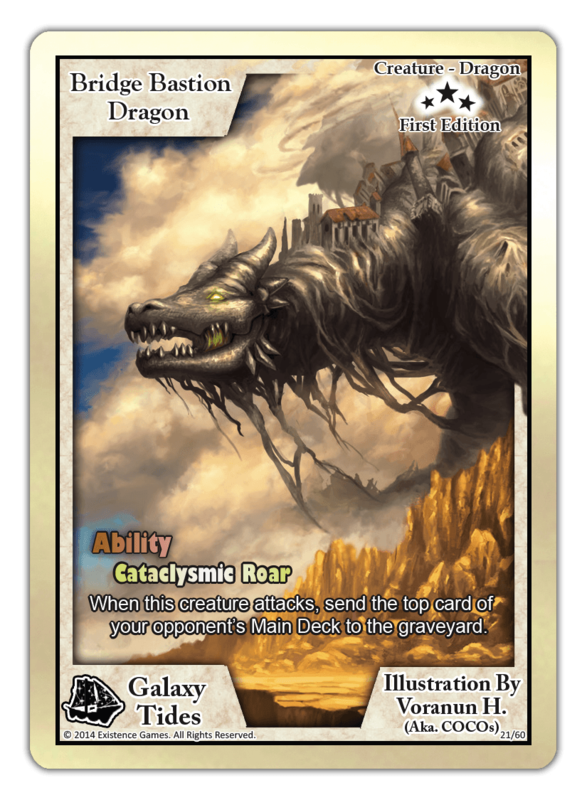 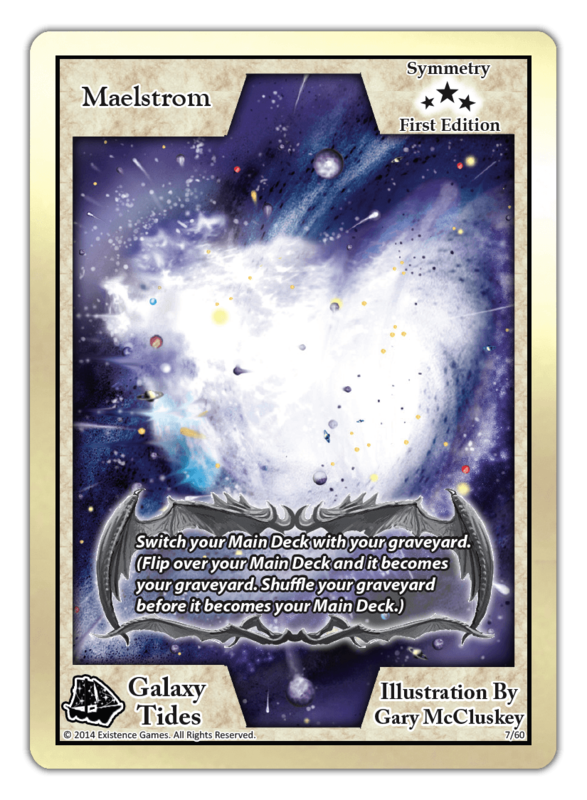 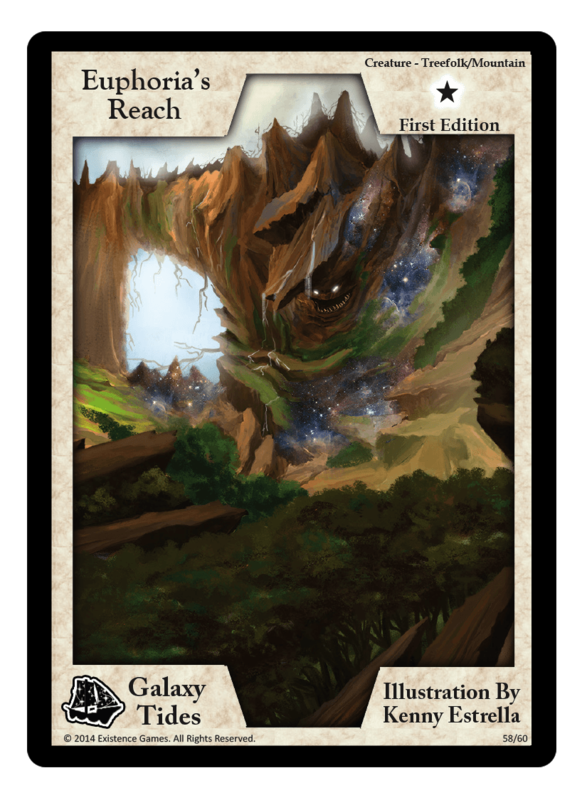 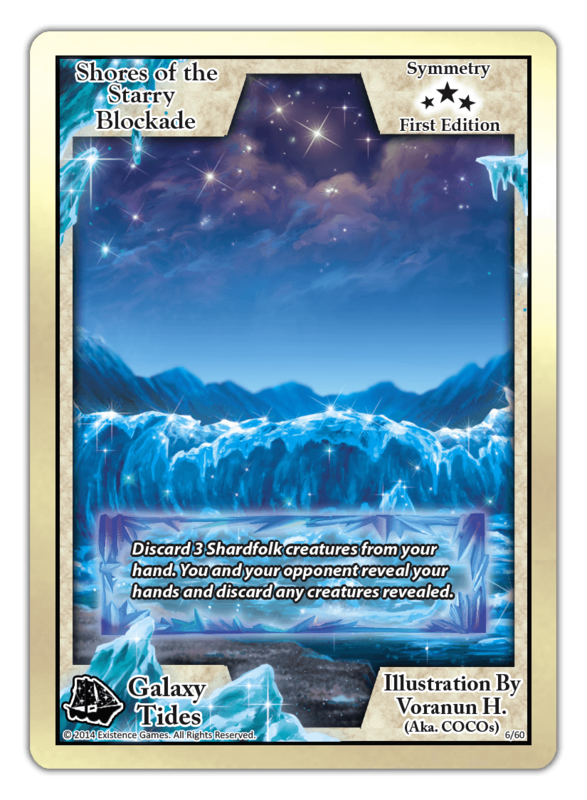 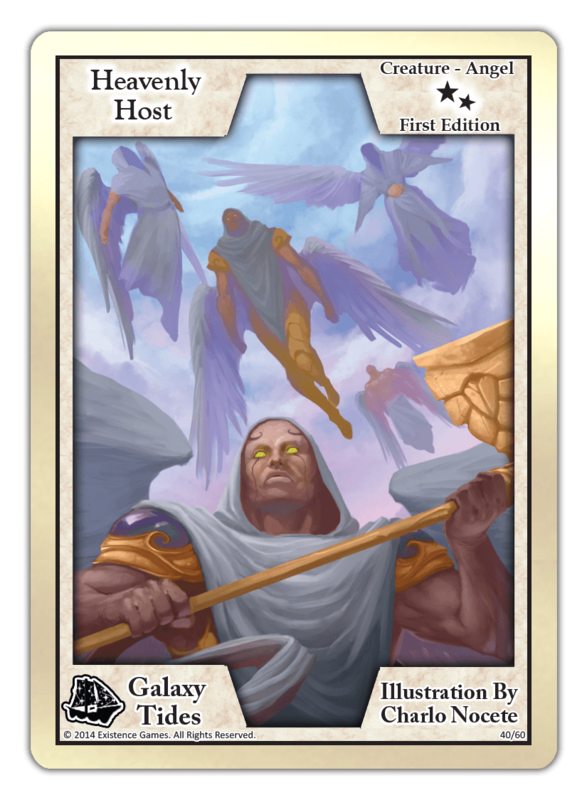 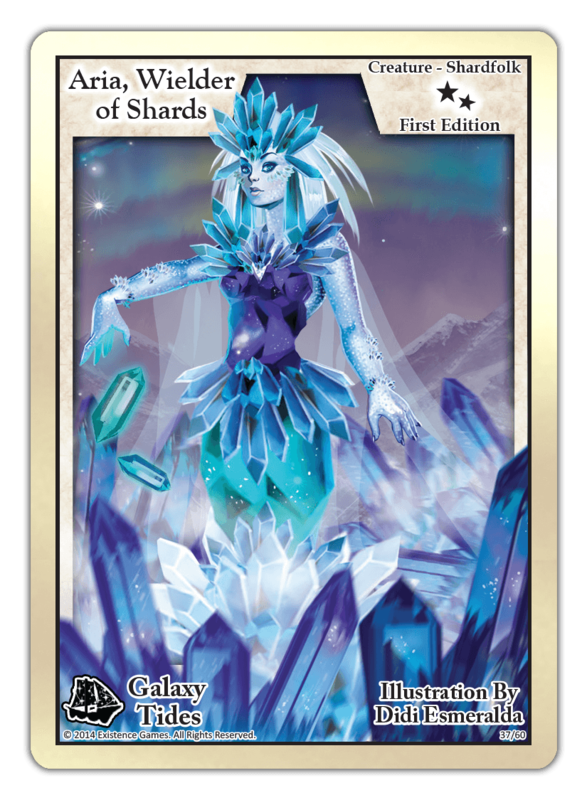 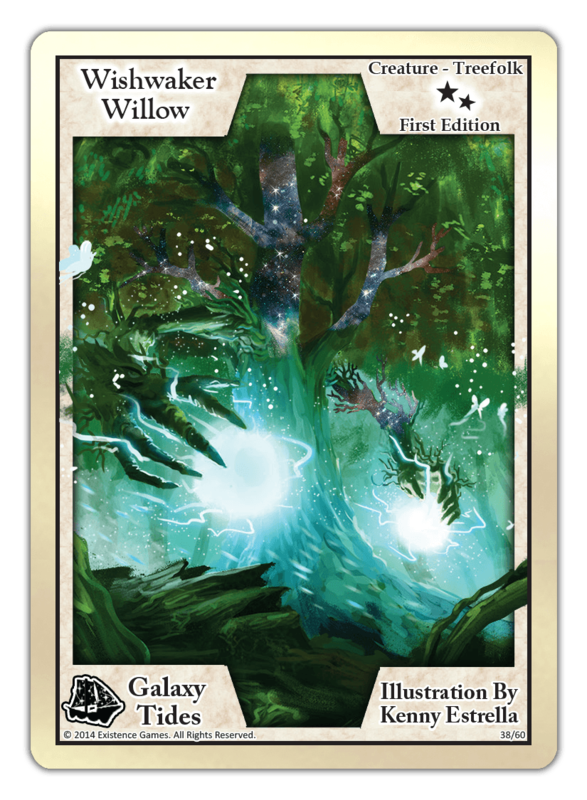 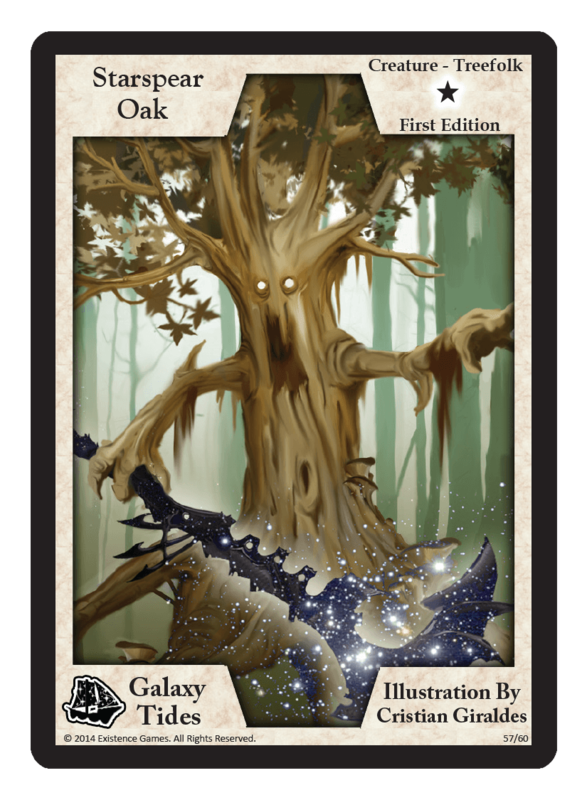 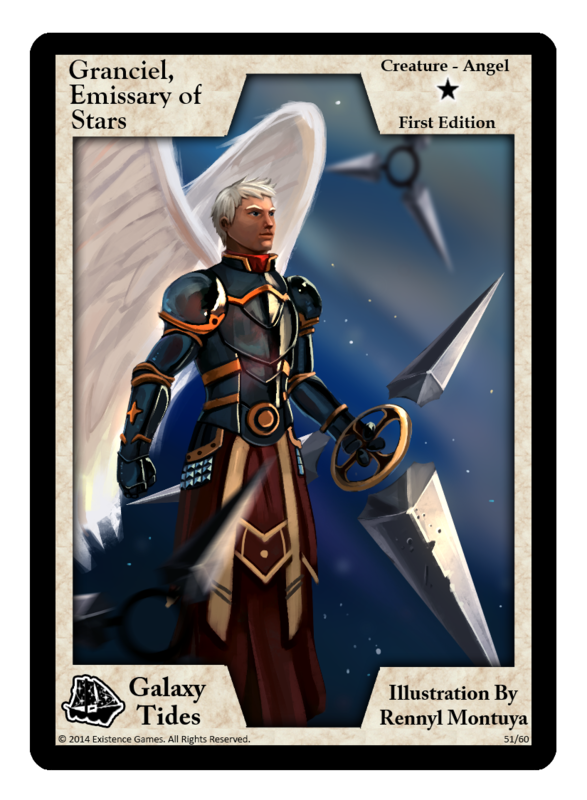 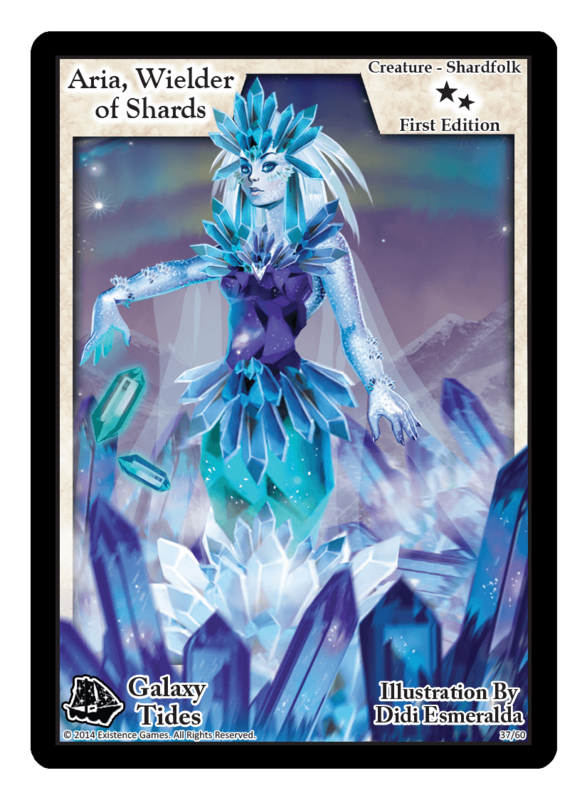 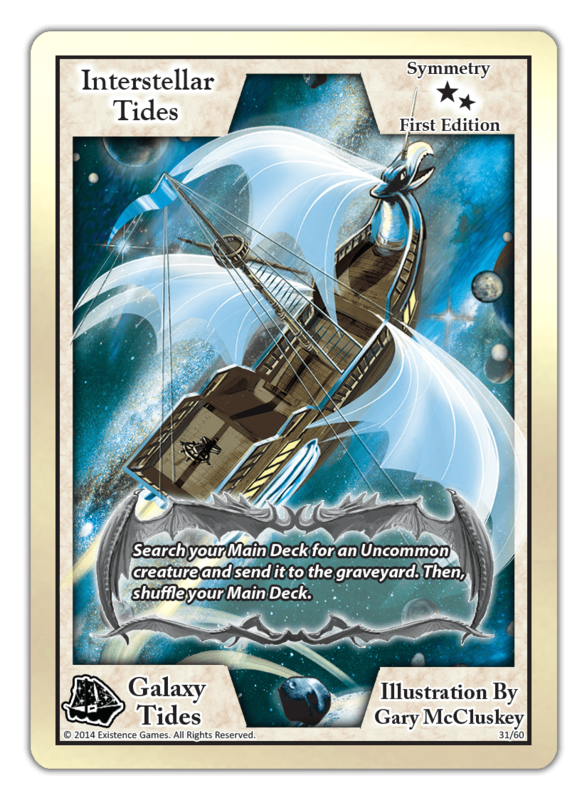 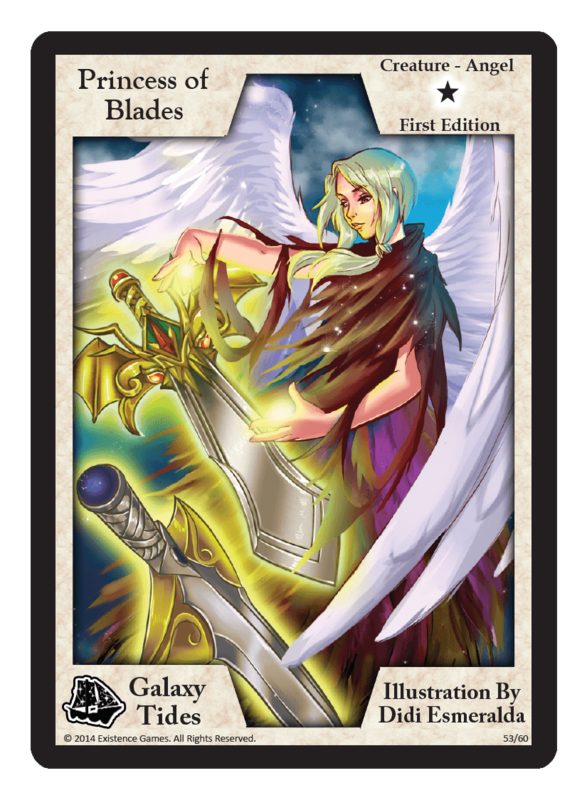 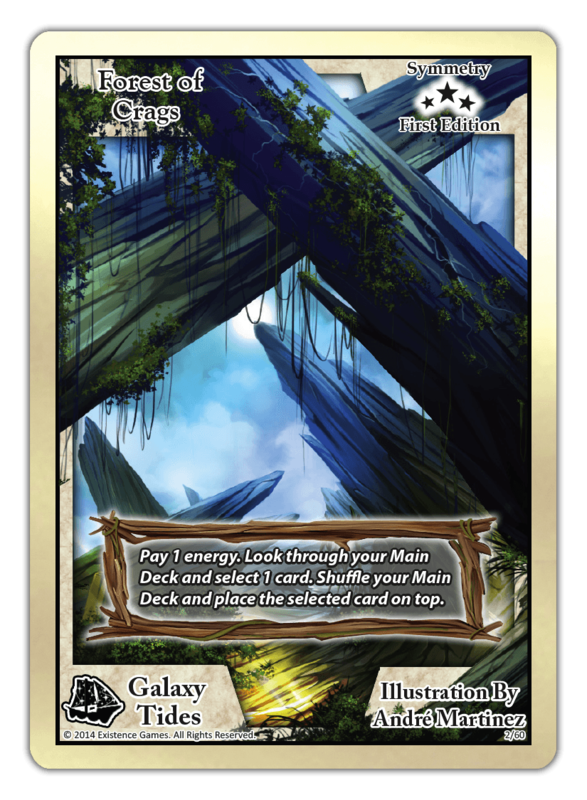 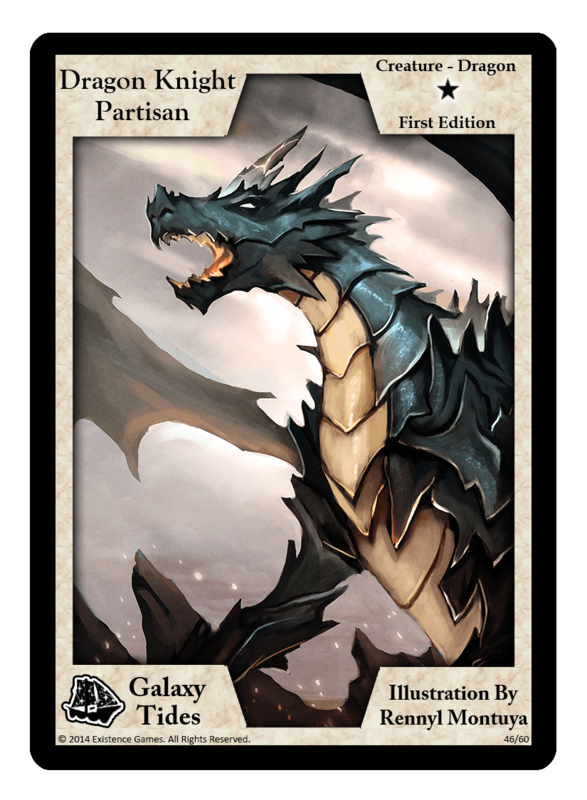 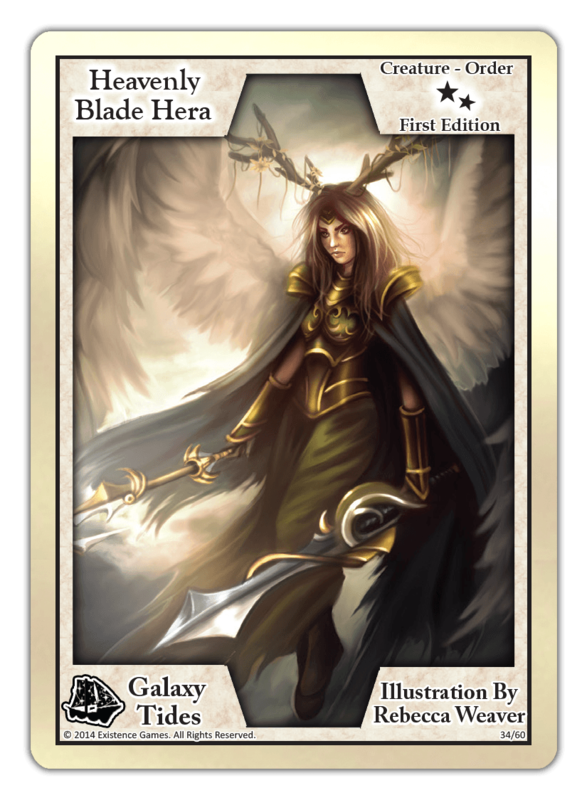 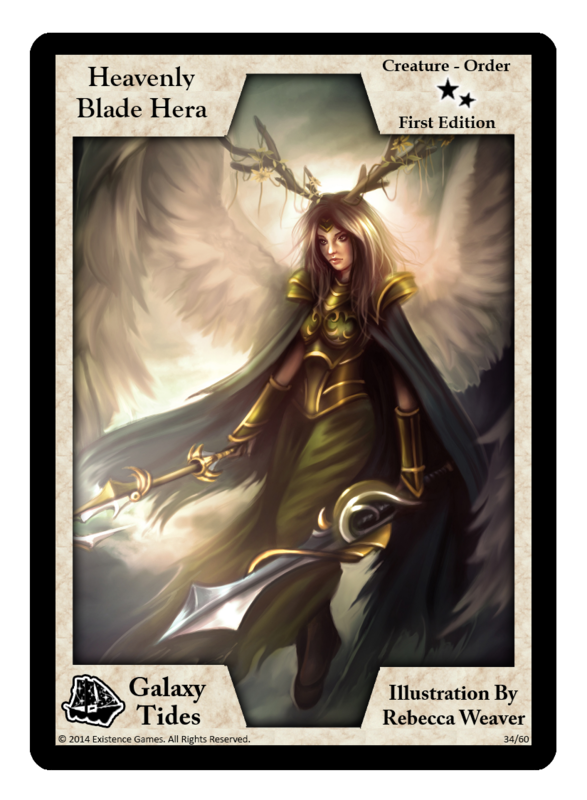 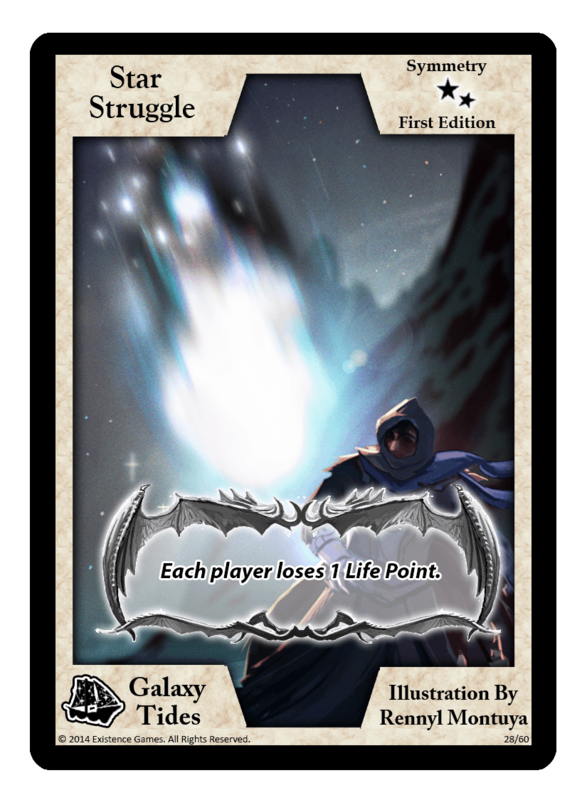 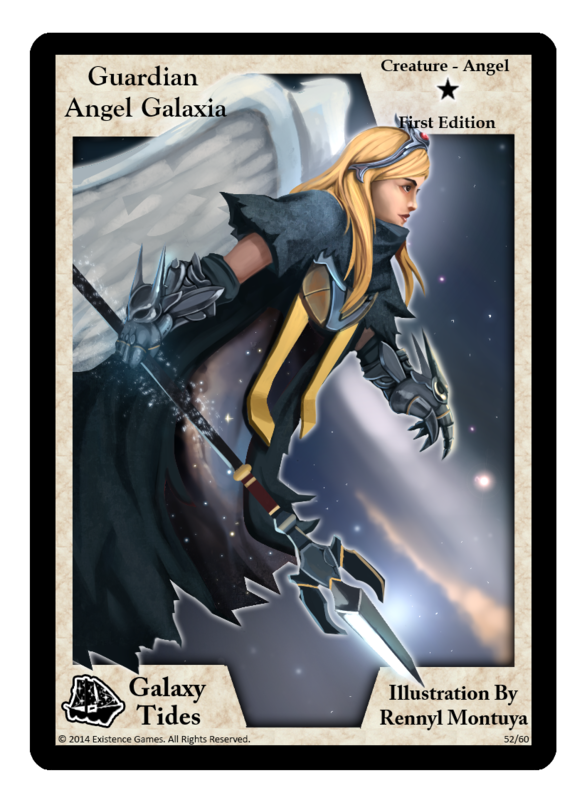 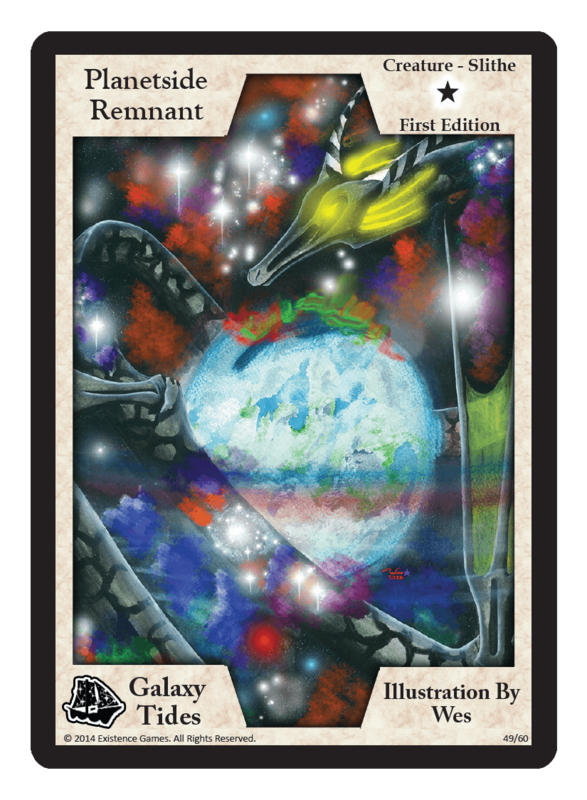 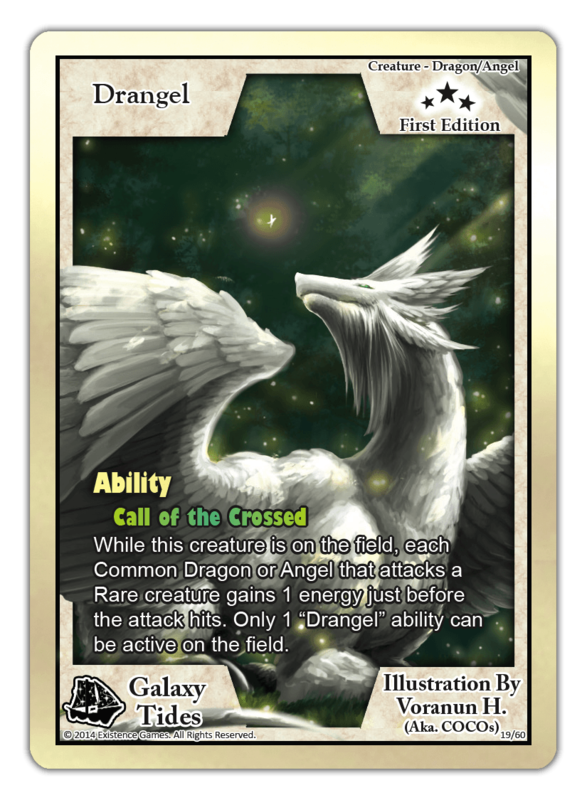 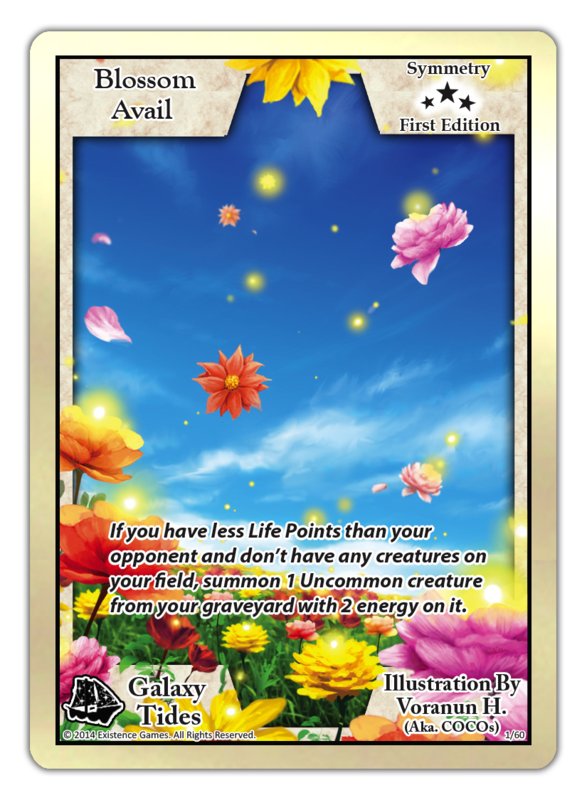 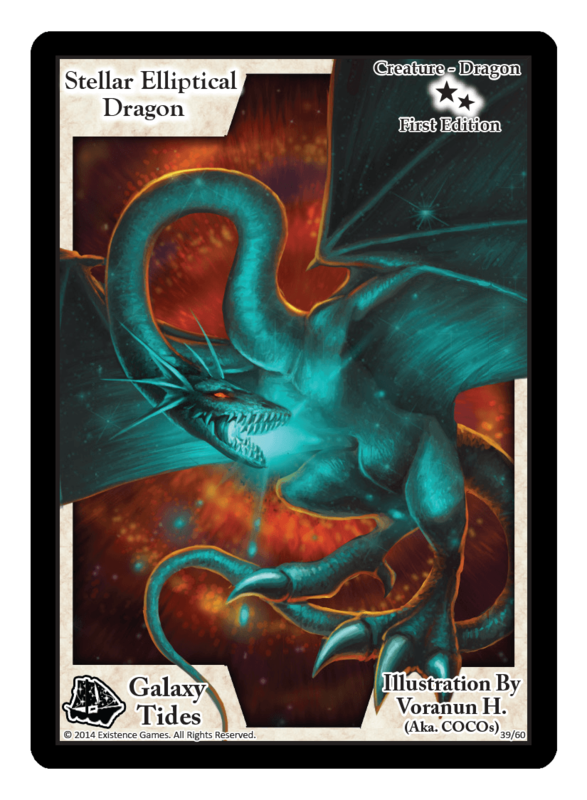 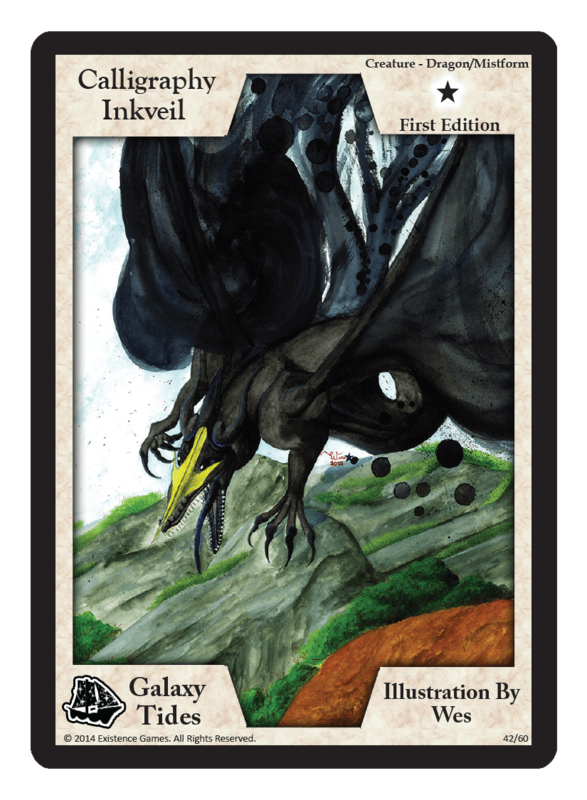 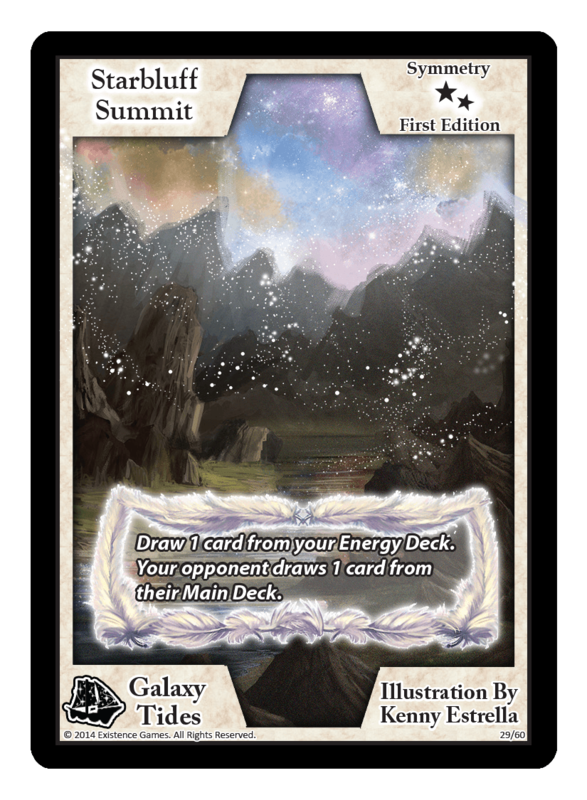 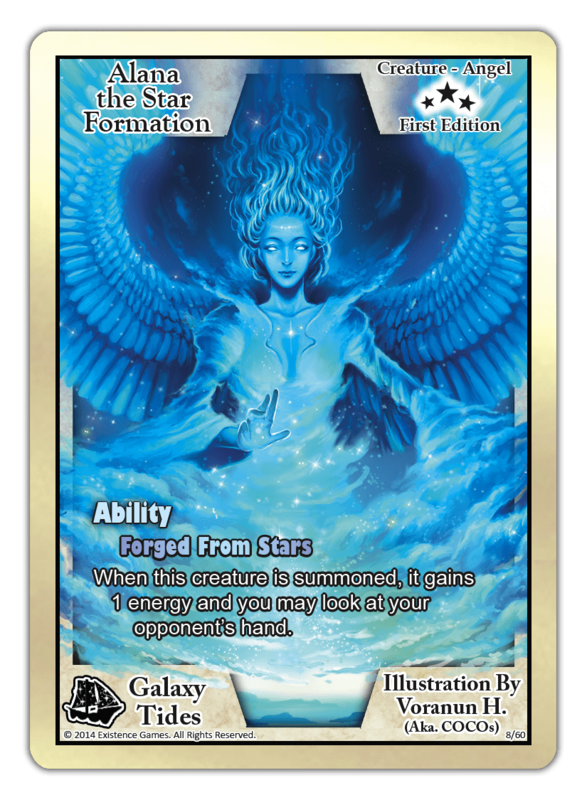 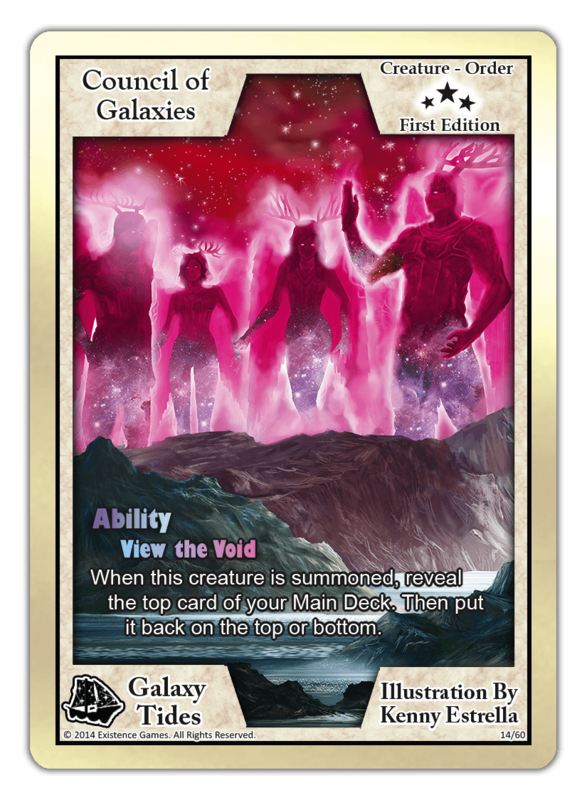 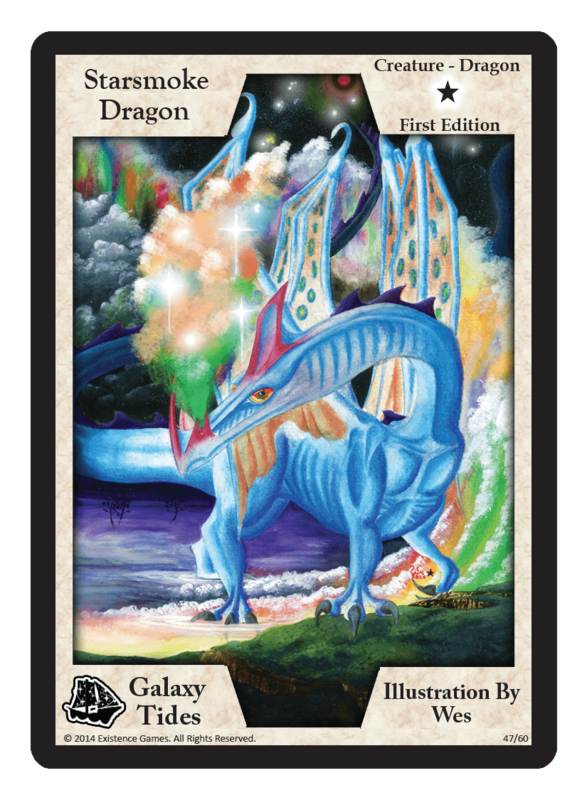 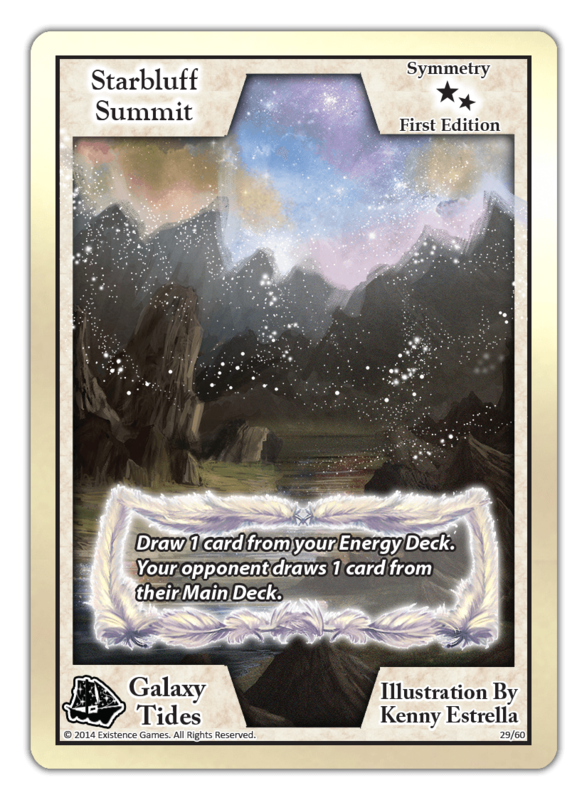 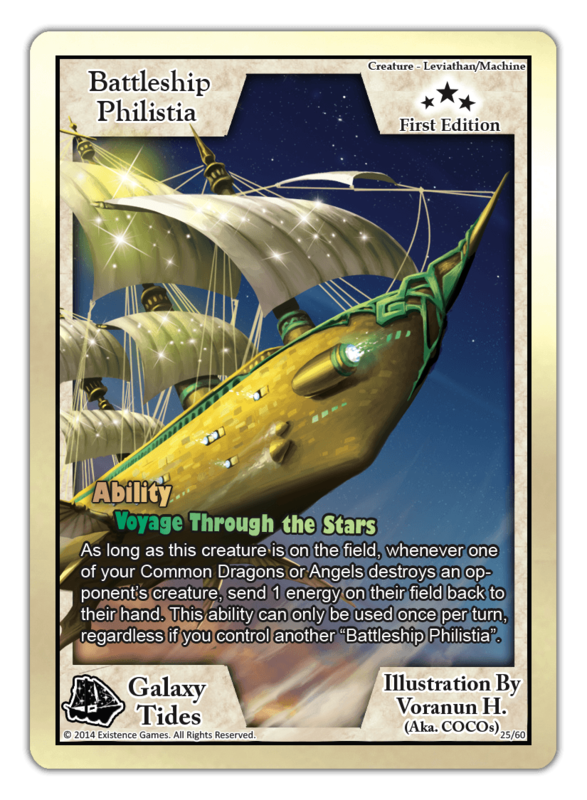 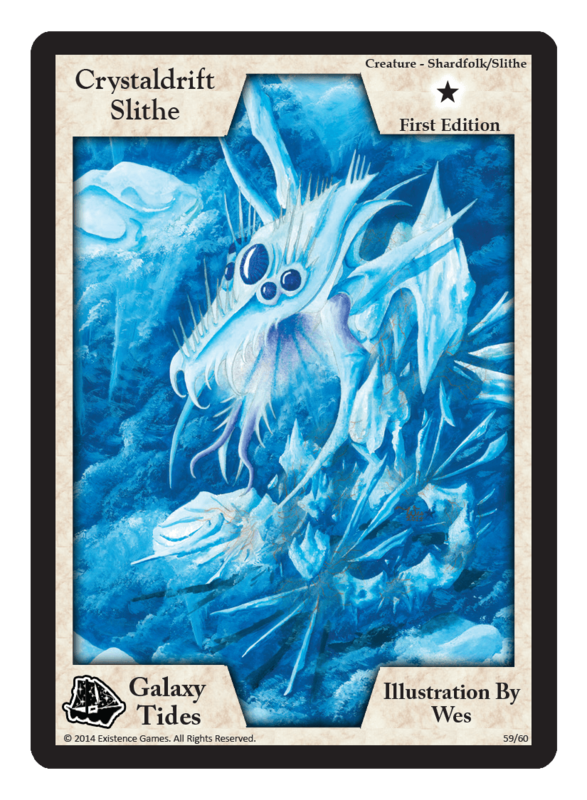 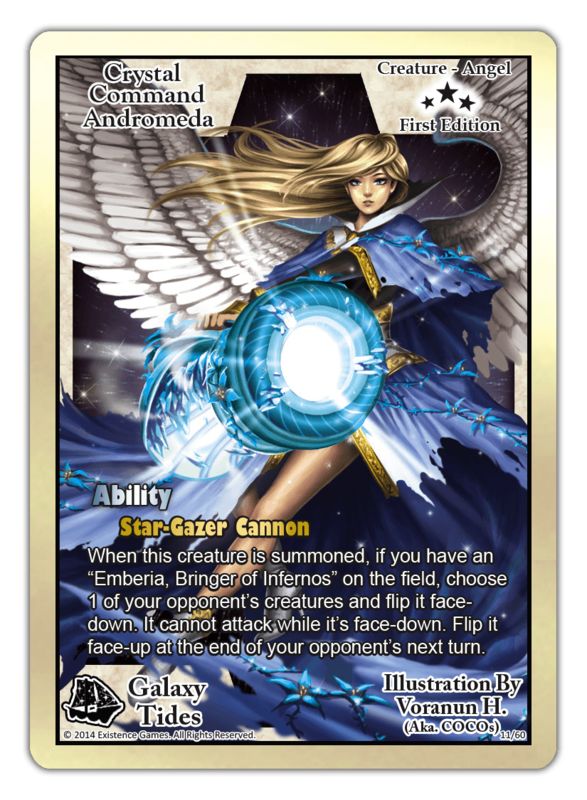 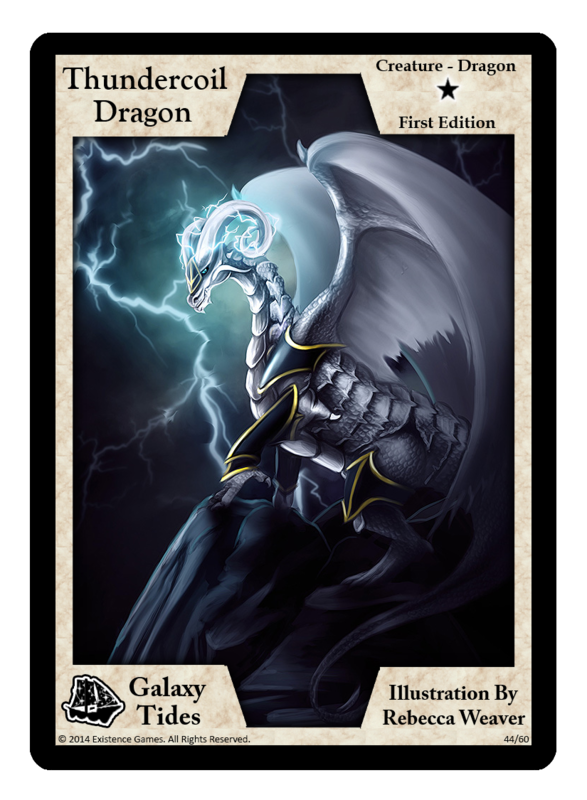 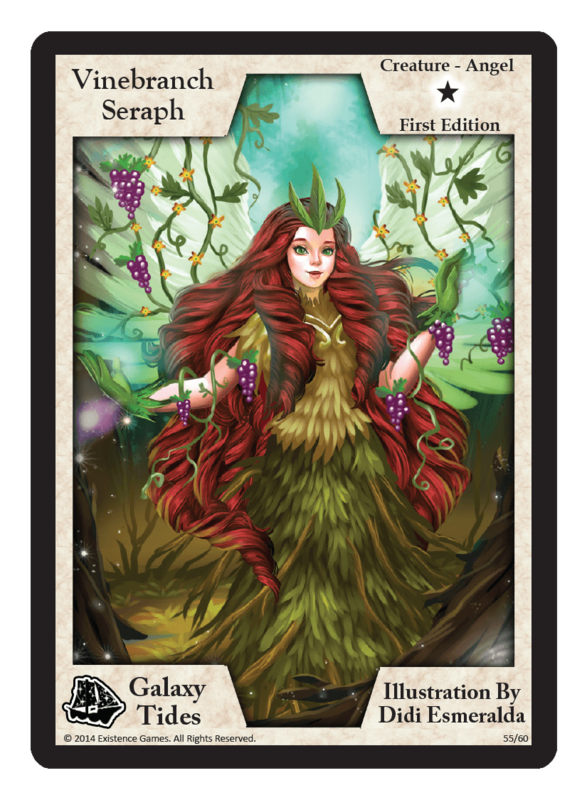 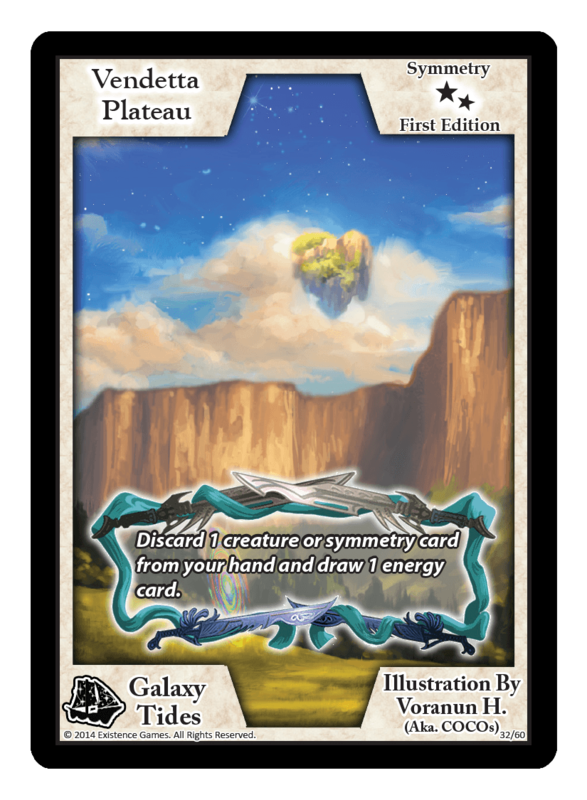 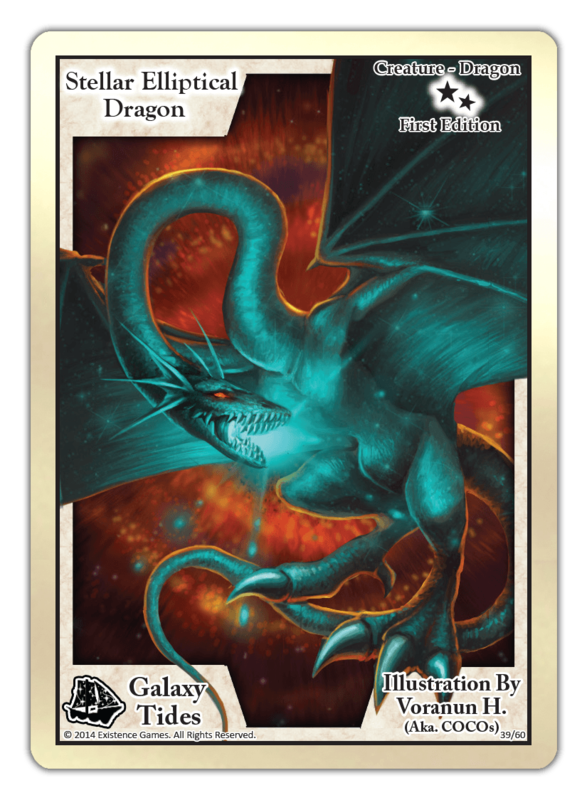 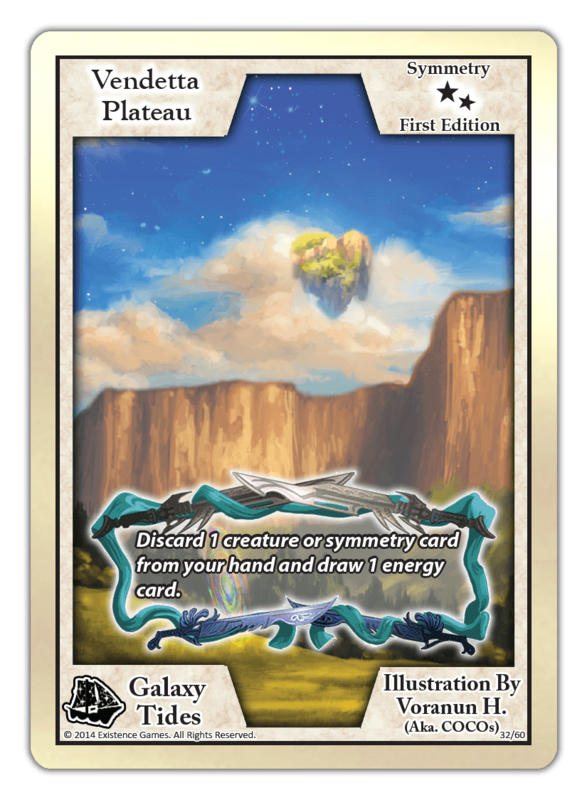 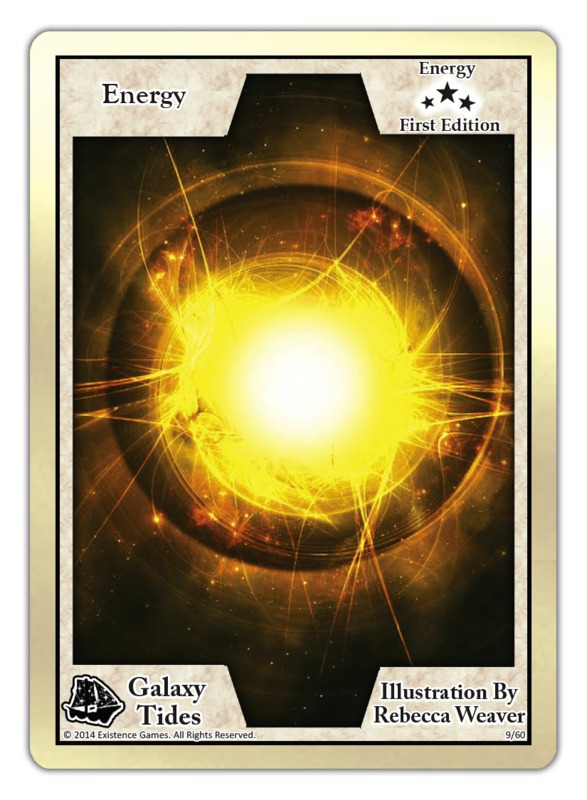 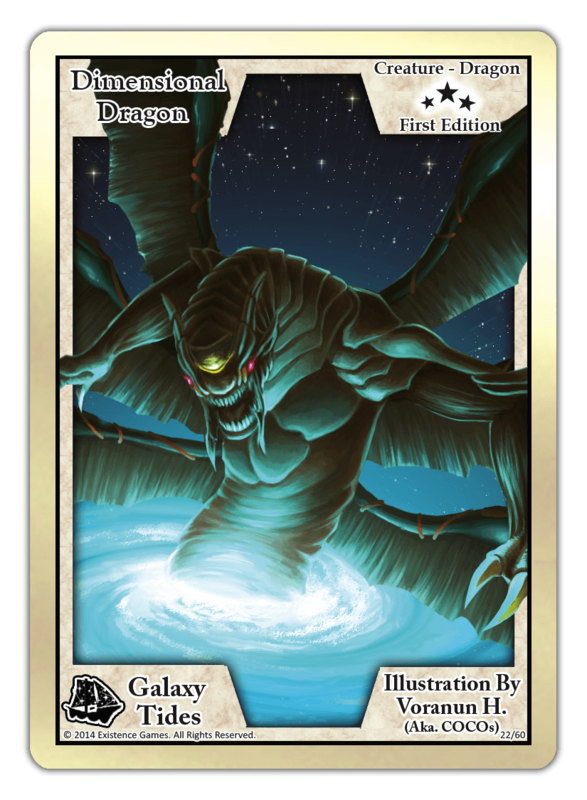 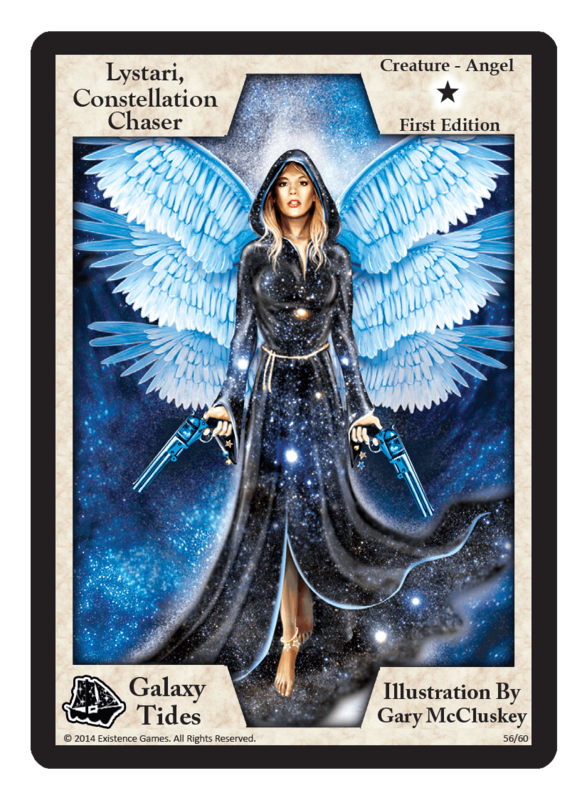 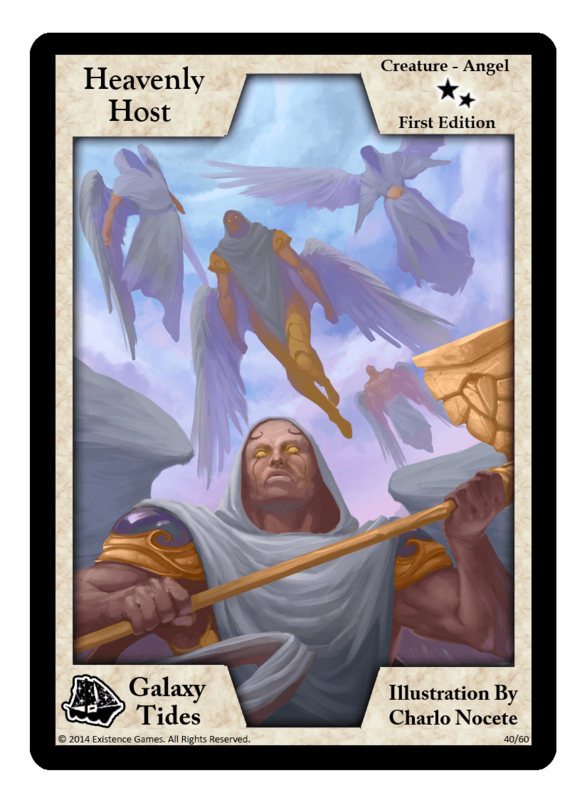 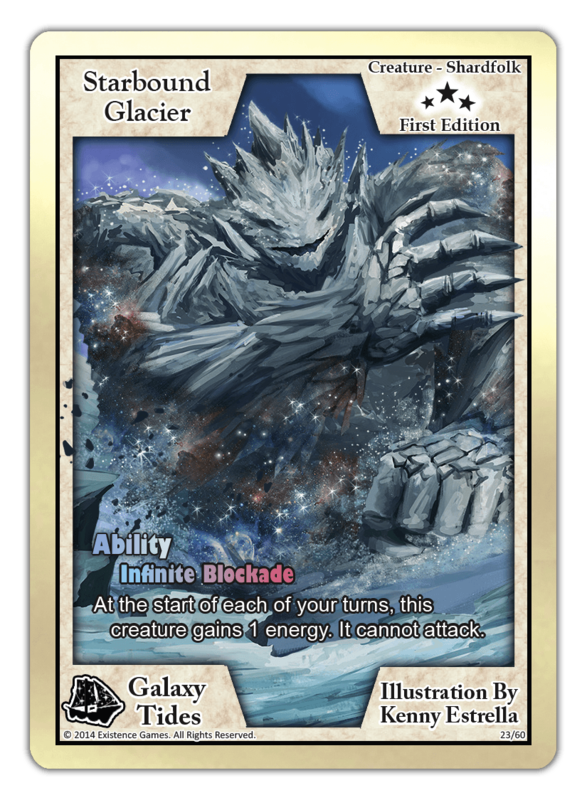 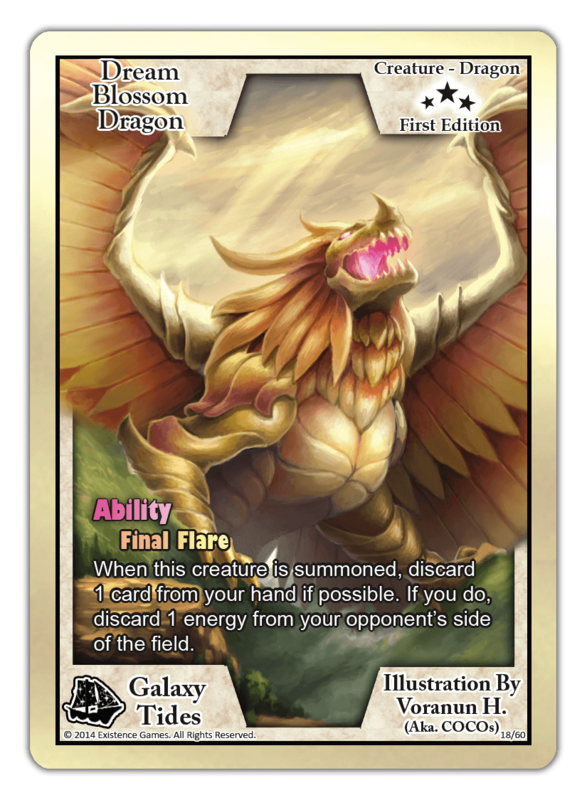 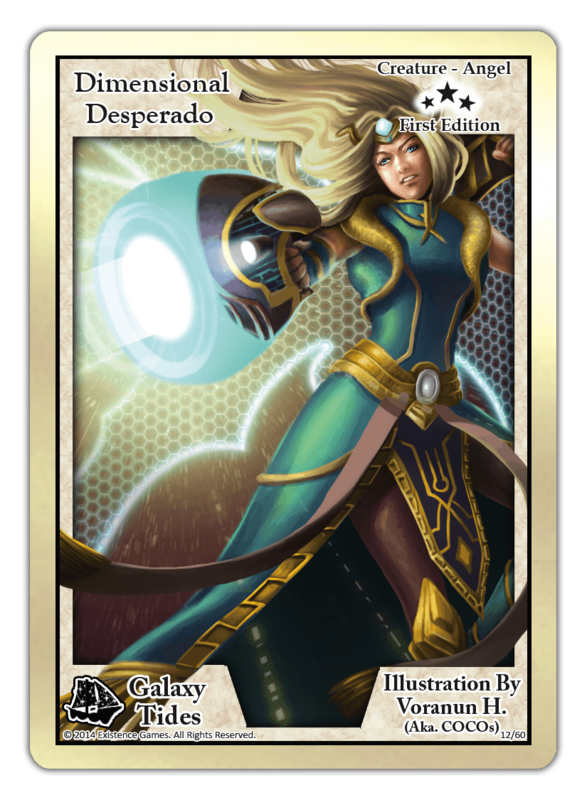 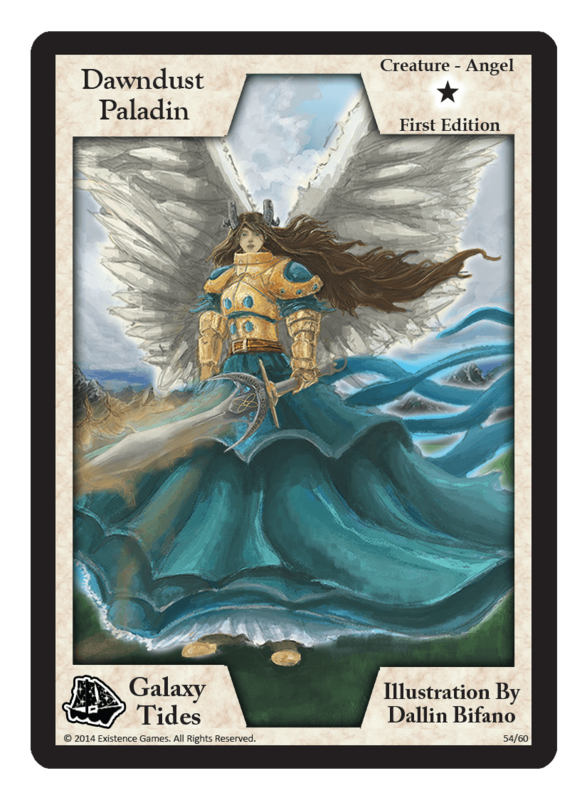 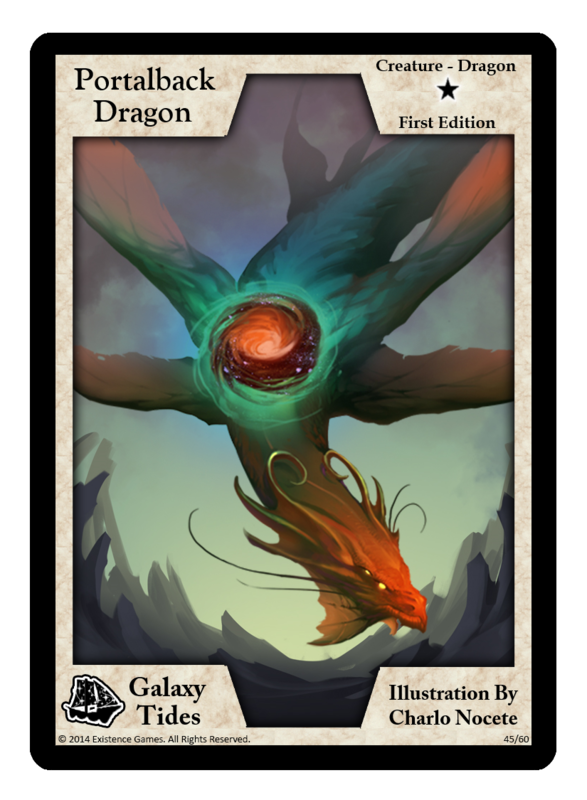 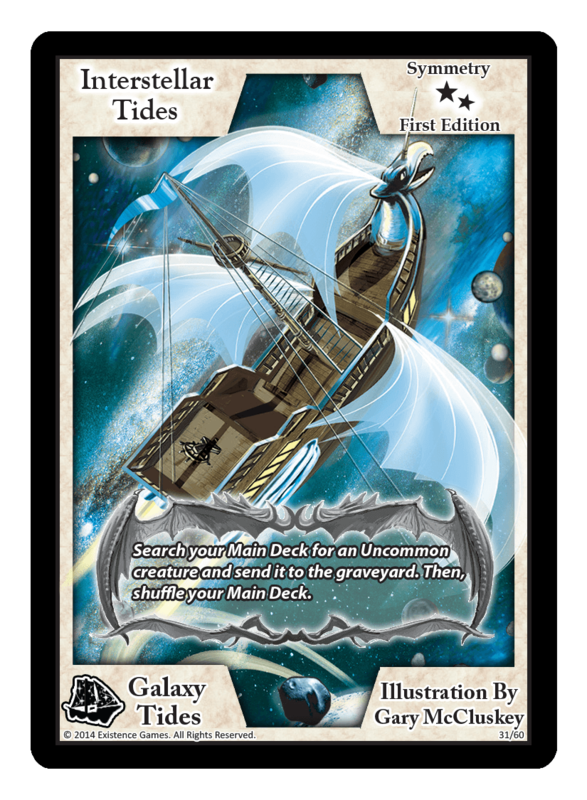 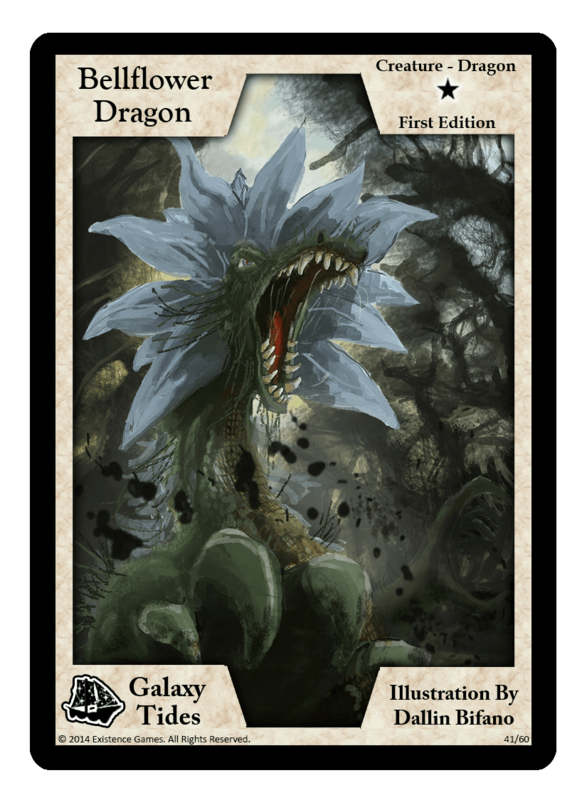 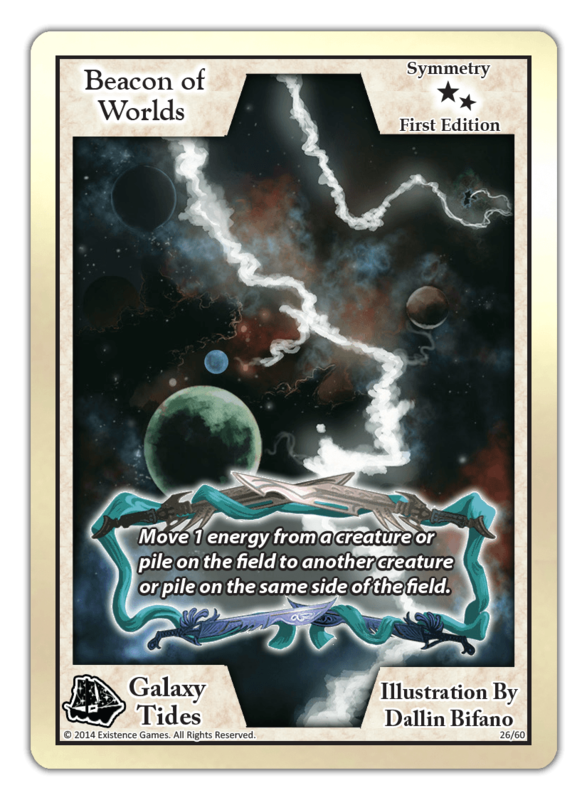 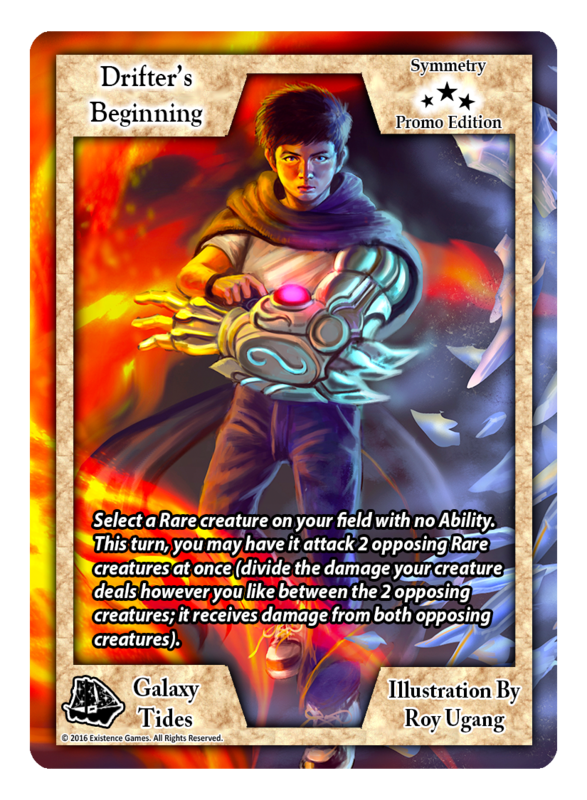 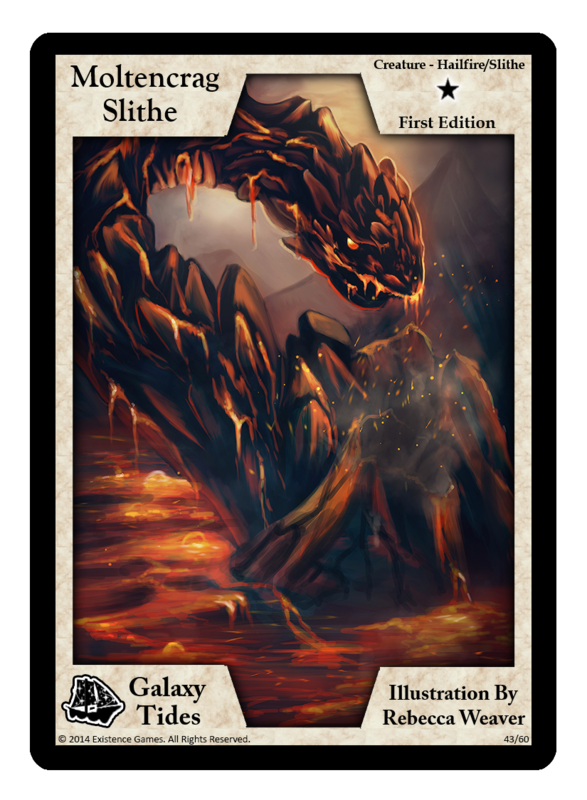 The second set of Exodus, Galaxy Tides, is the game's first booster expansion, with a 100% new 62-card set (no reprints from the previous set!). 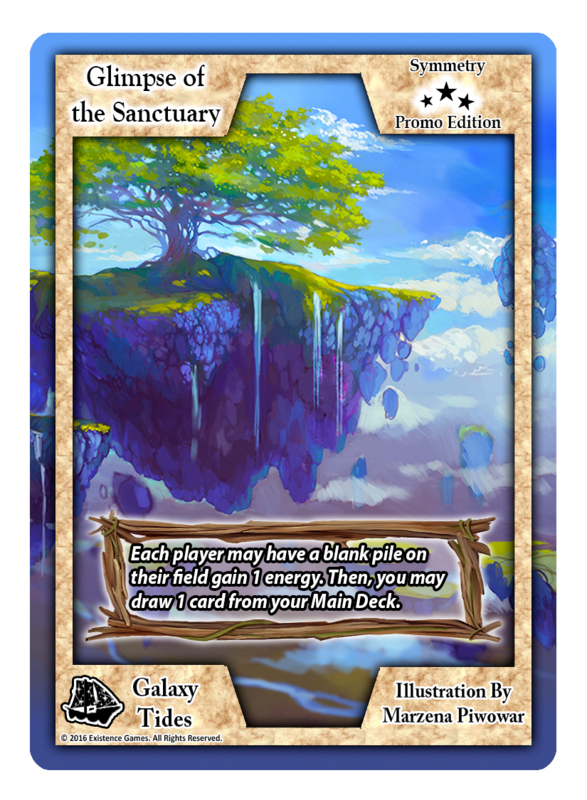 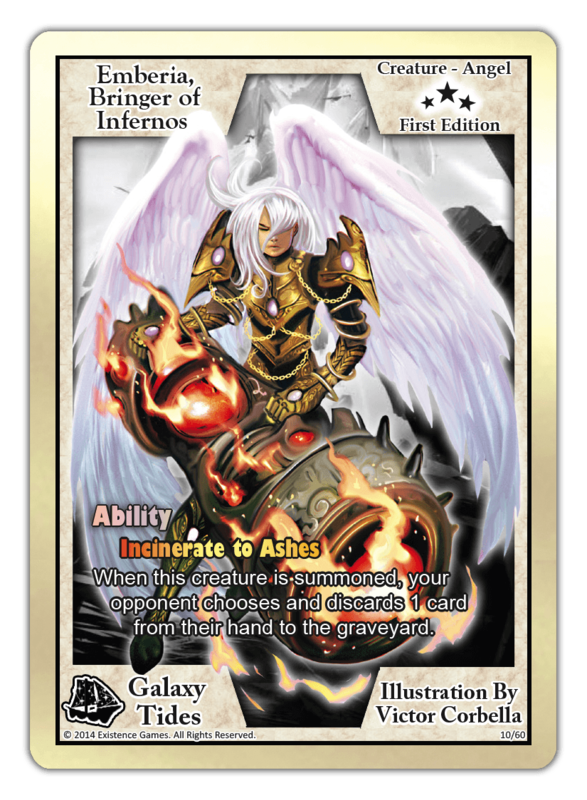 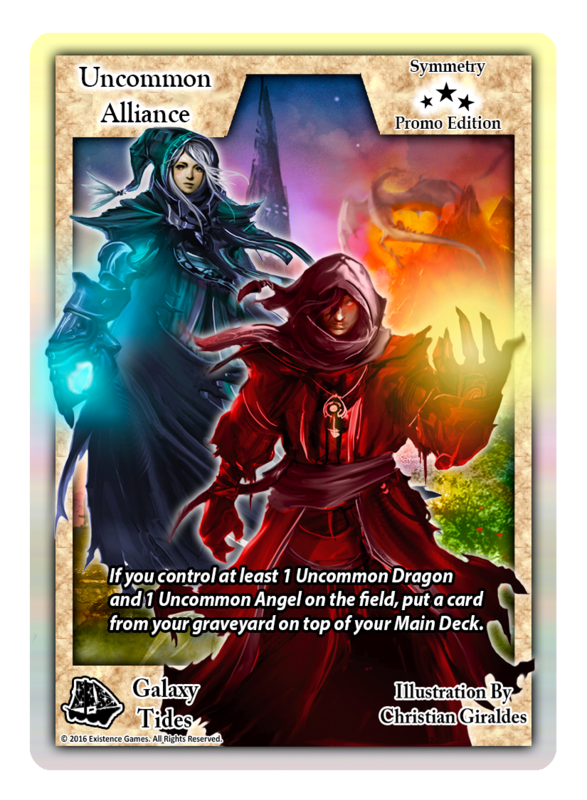 6 exclusive promo cards were also printed during this expansion. 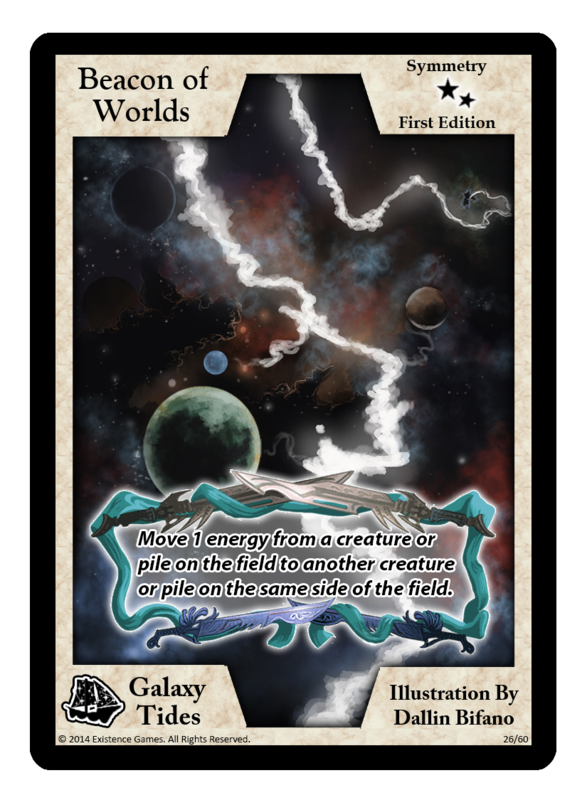 GT introduces the rarity mechanic to Exodus' gameplay, creatures with abilities, and a new type of creature known as "Order". 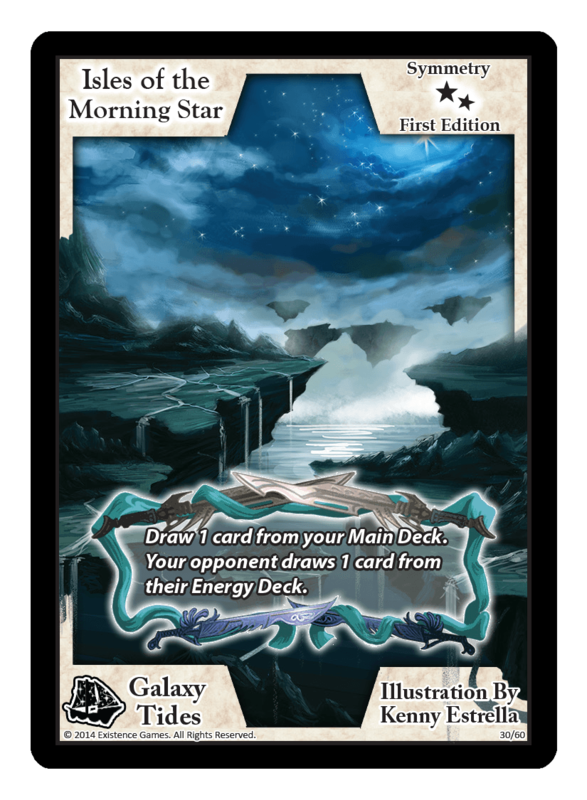 Each individual booster pack contains 5 random cards; 3 Commons, 1 Uncommon, and 1 Foil card (Uncommon, Rare, or Secret Rare). 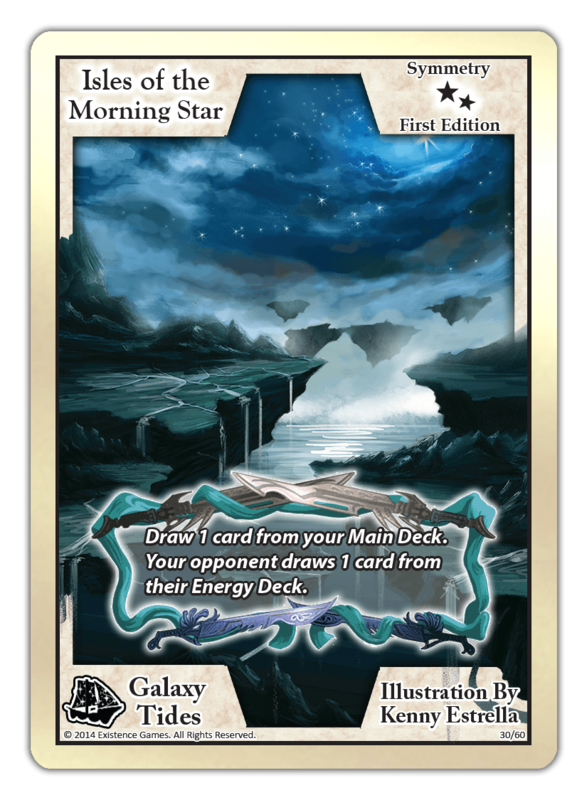 There are 12 packs per booster box; 12 boxes per case. 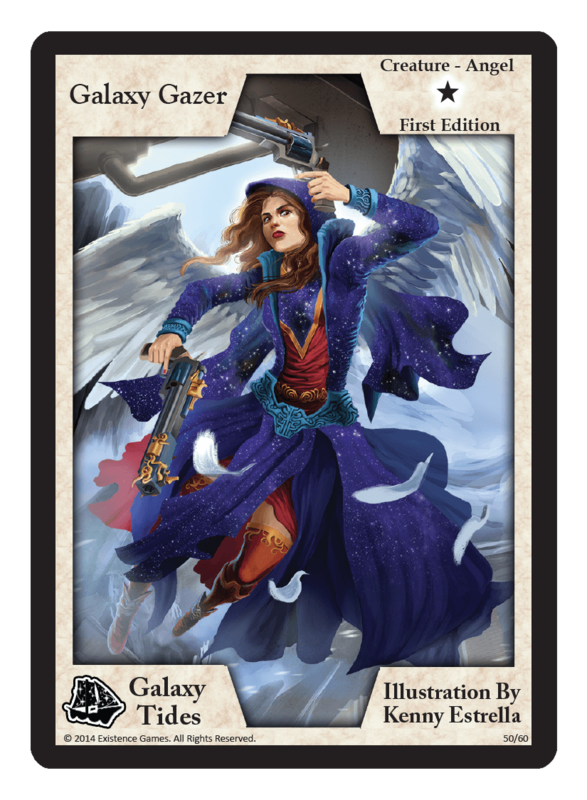 A sealed booster box will contain either 8 Rares and 4 Uncommon foils, or 7 Rares and 5 Uncommon foils. 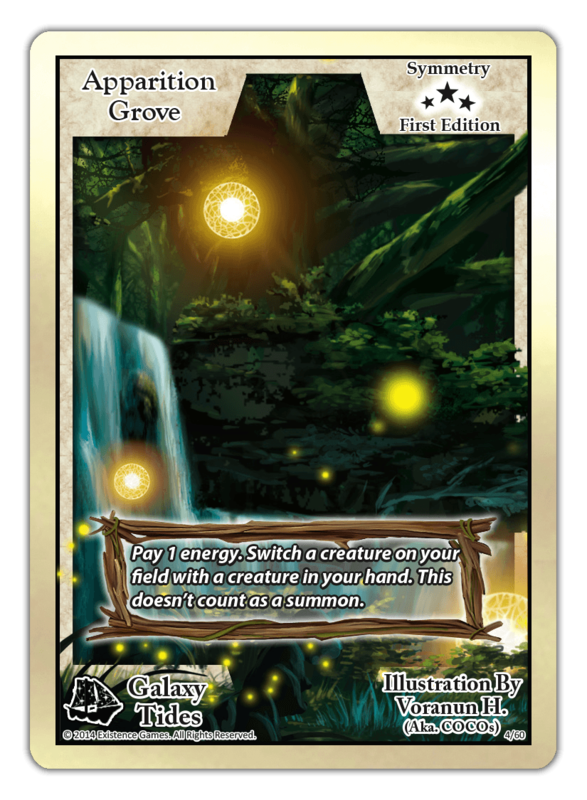 Additionally, there are 2 foil box-toppers per box, giving you an extra chance at pulling that amazing Rare or Secret Rare! 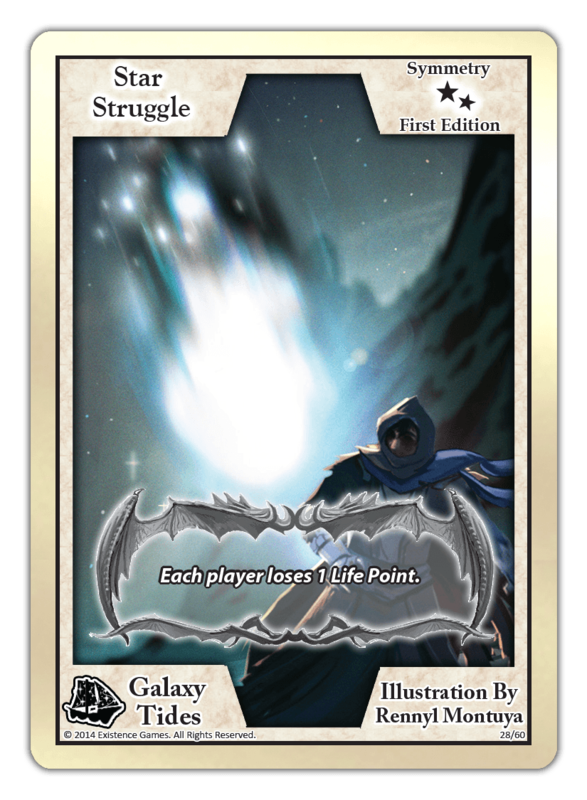 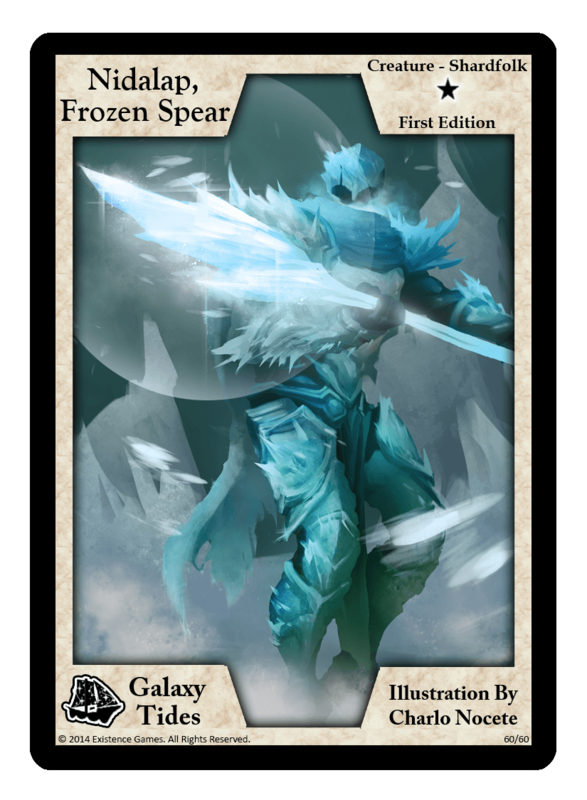 Some cards are also available in foil or extended art. 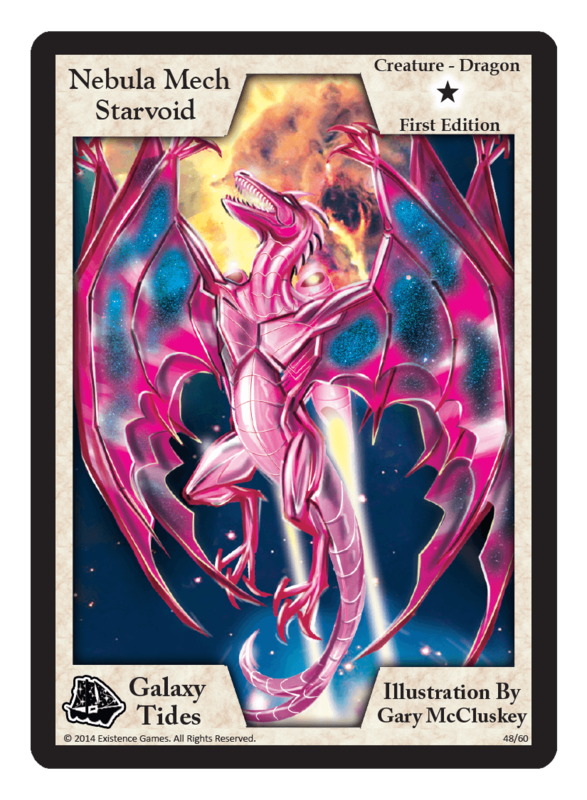 Collect all 77 versions! 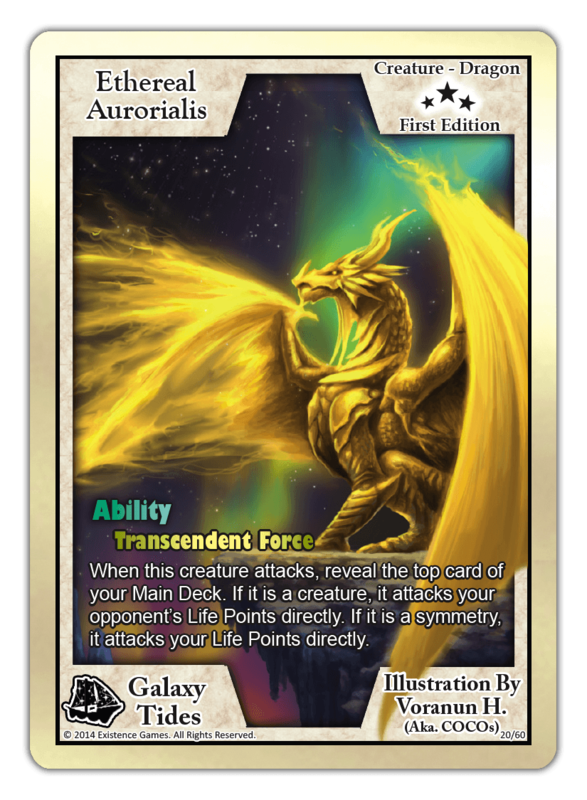 All 25 Rares in the set are foil! 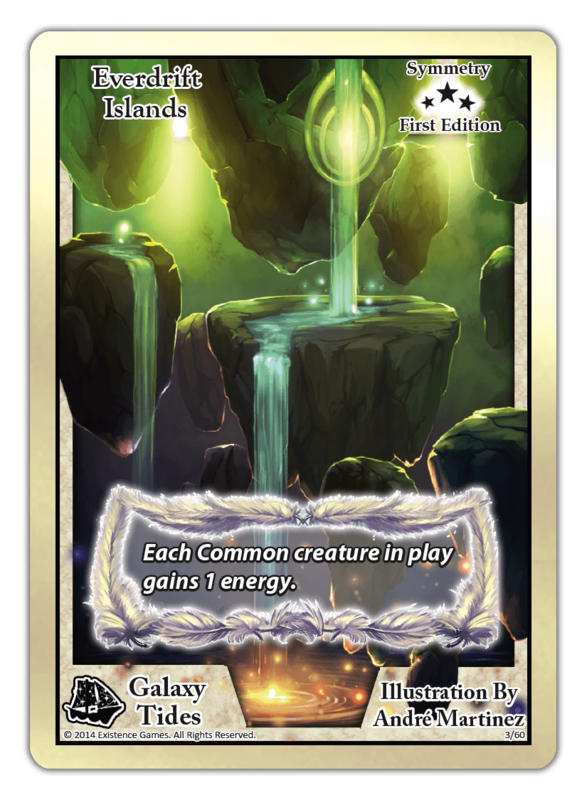 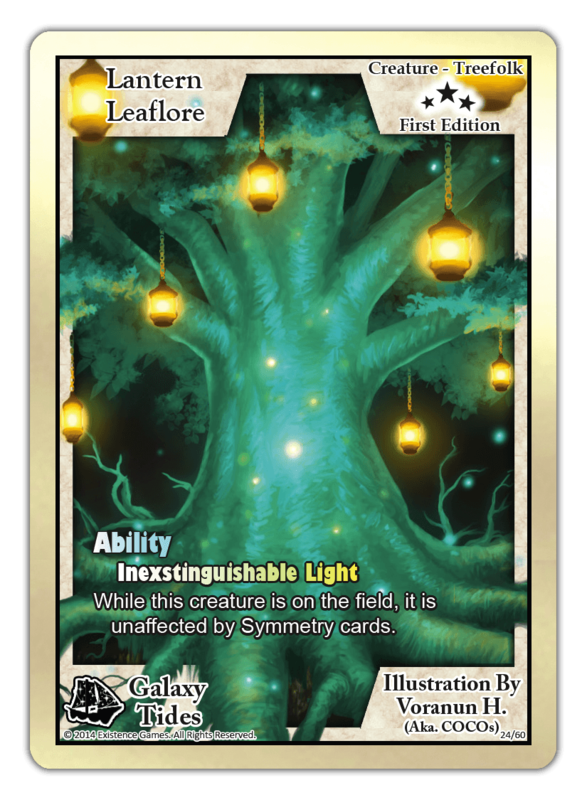 There is a foil and non-foil version of all 15 Uncommons in the set! 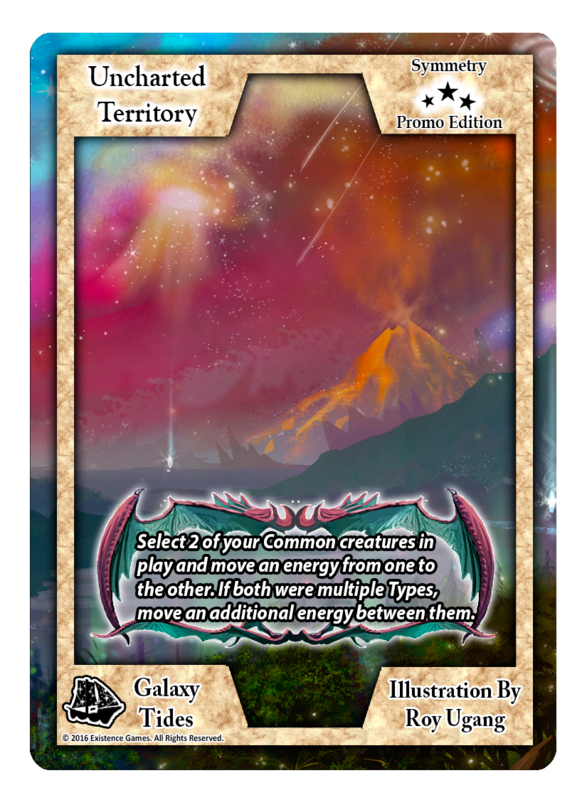 There are 20 black-bordered Commons in the set. 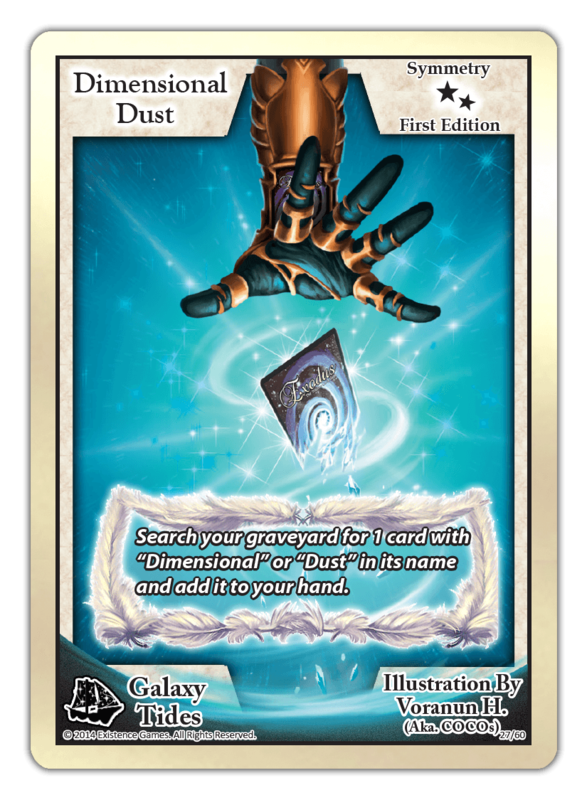 The 2 Secret Rares in the set are hot stamped "SR". 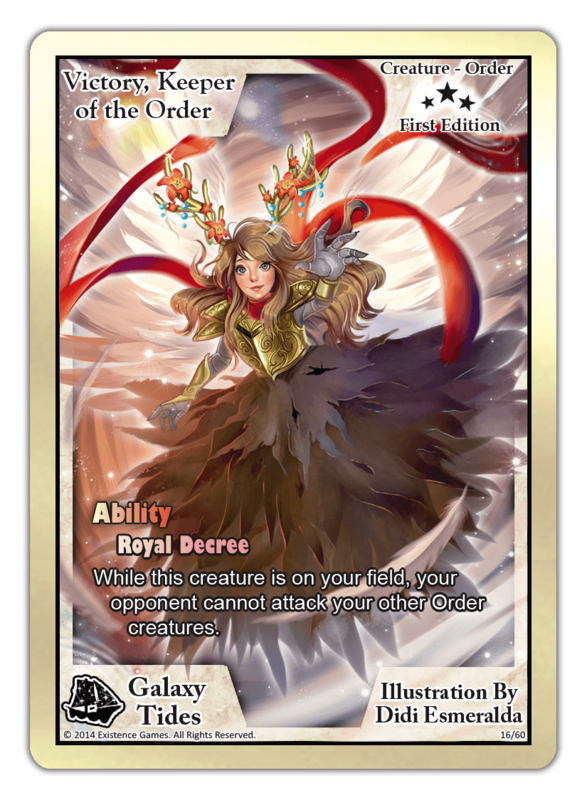 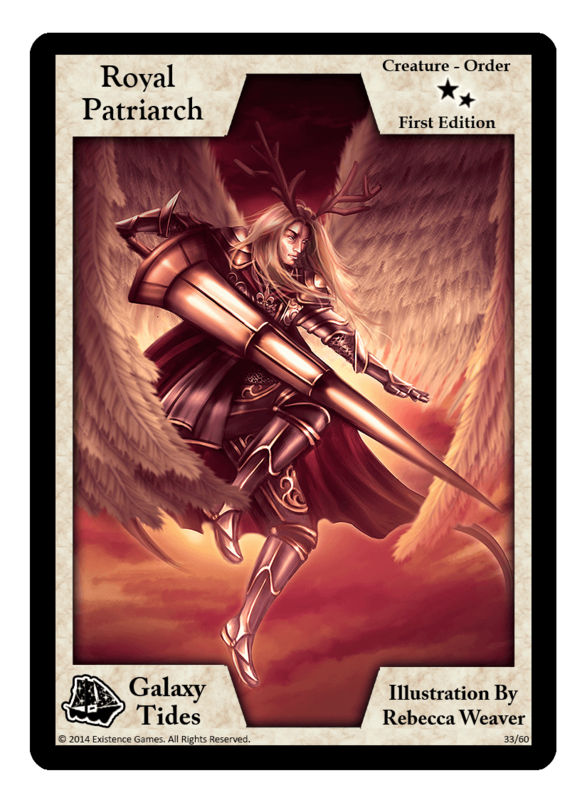 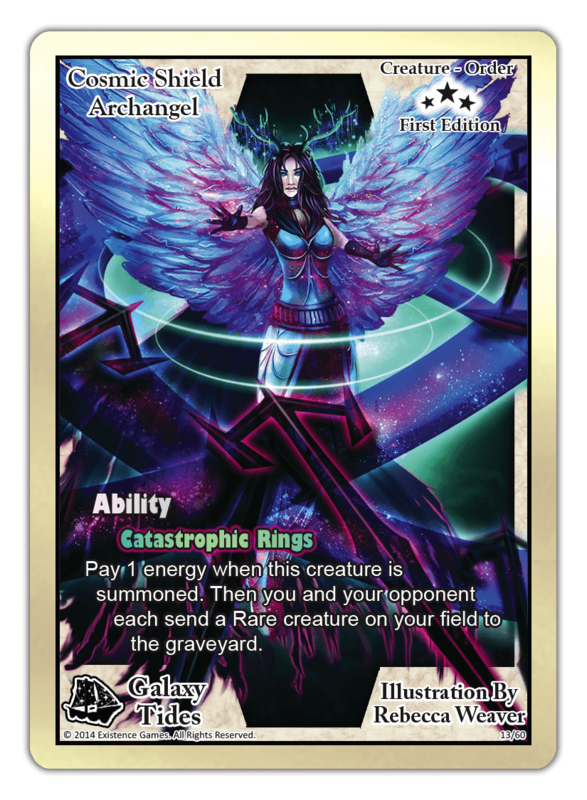 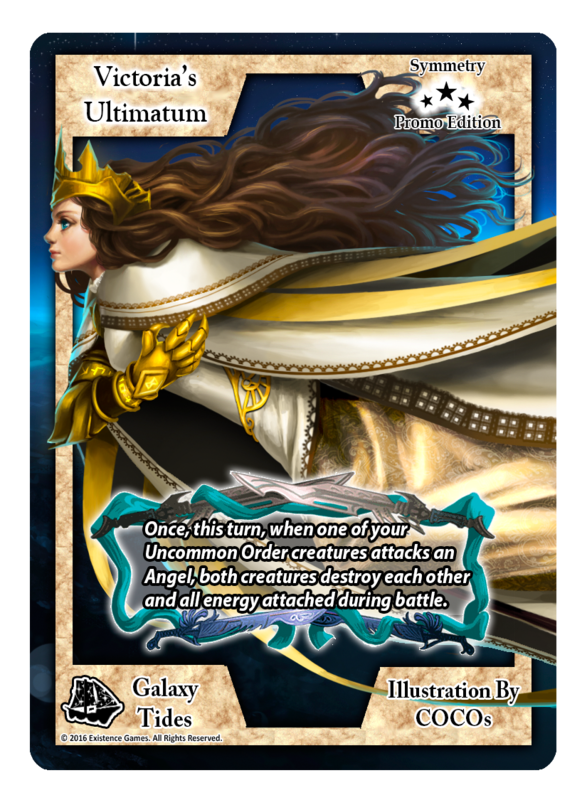 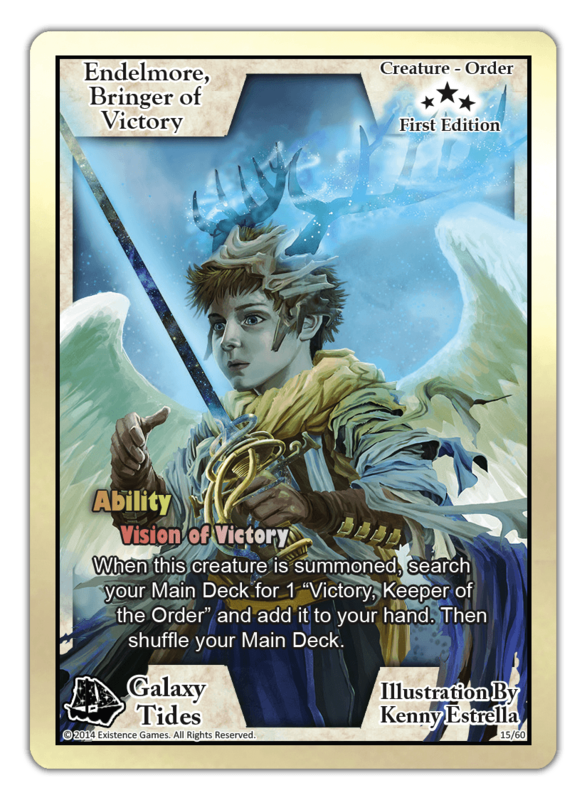 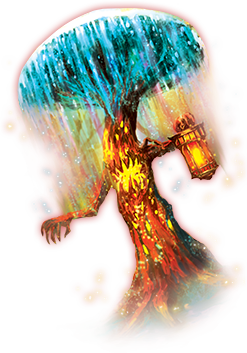 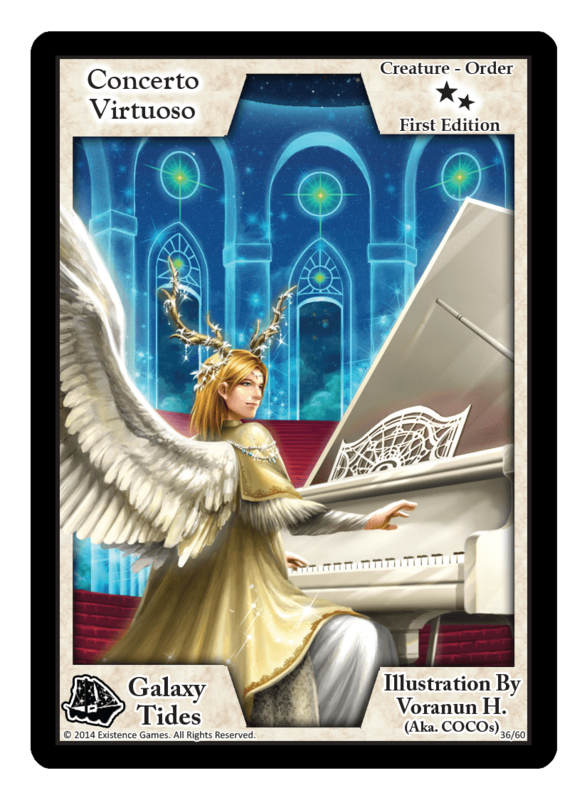 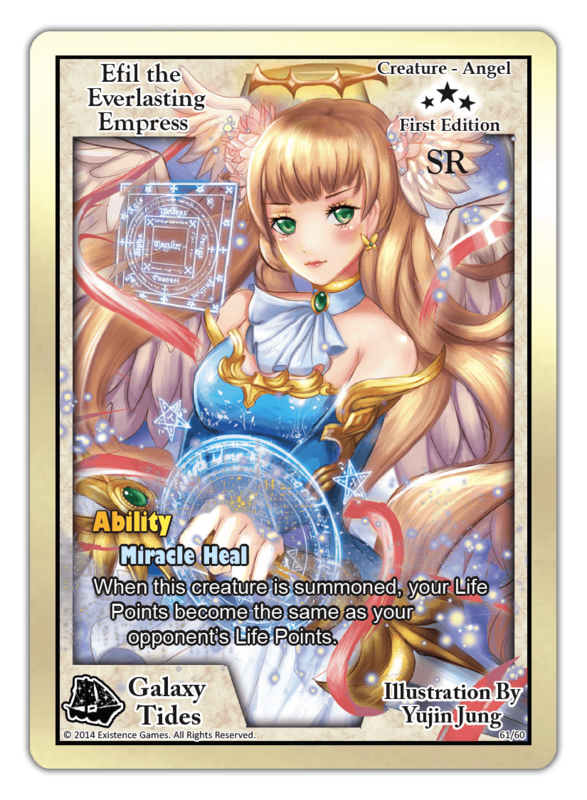 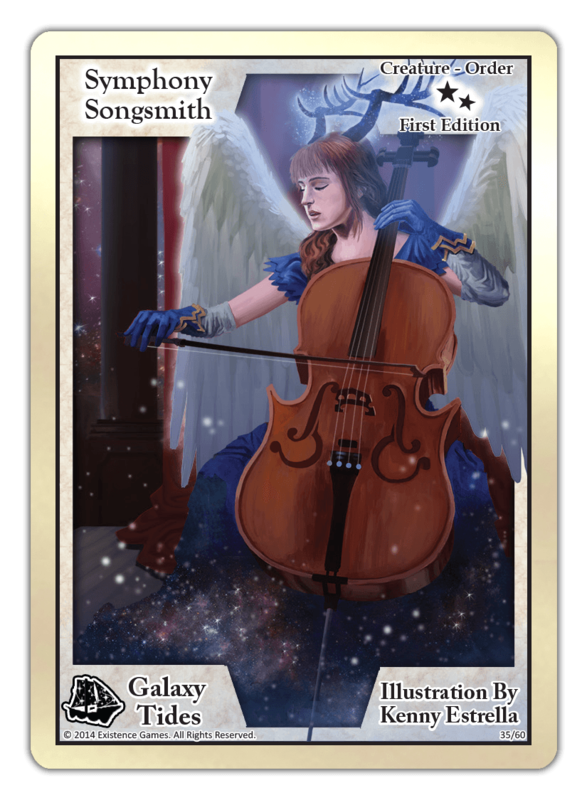 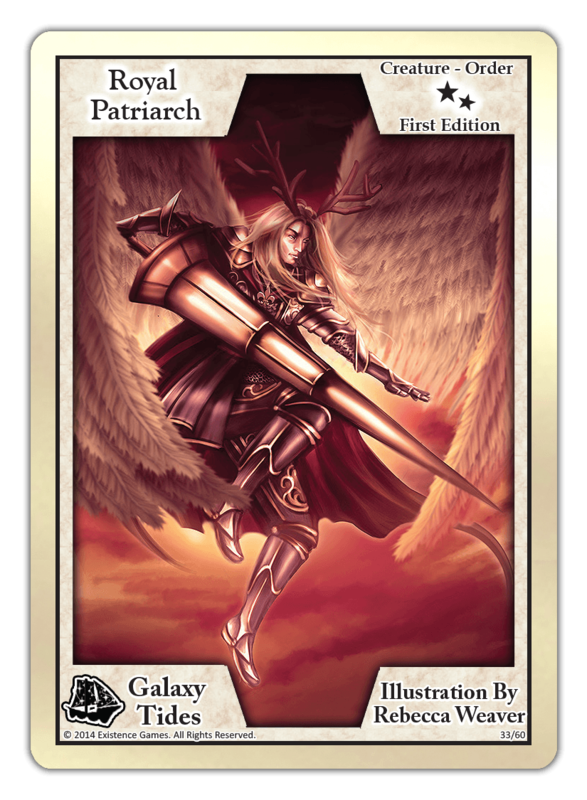 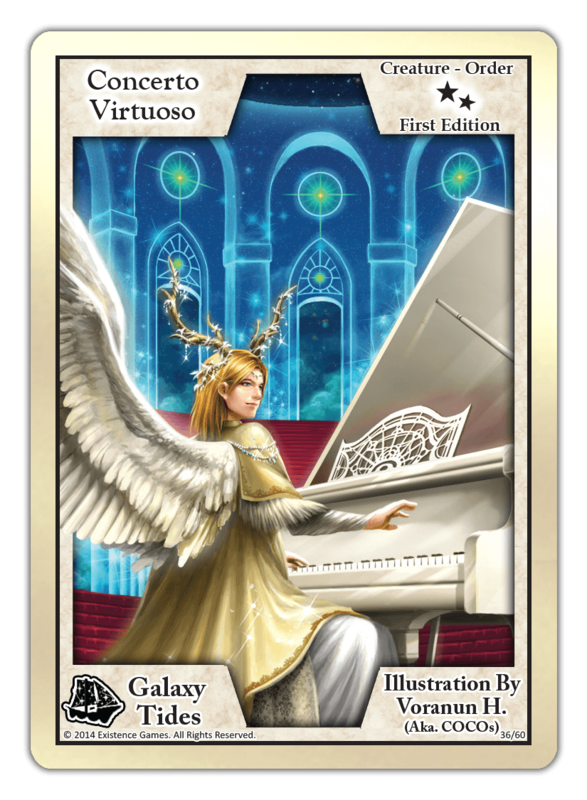 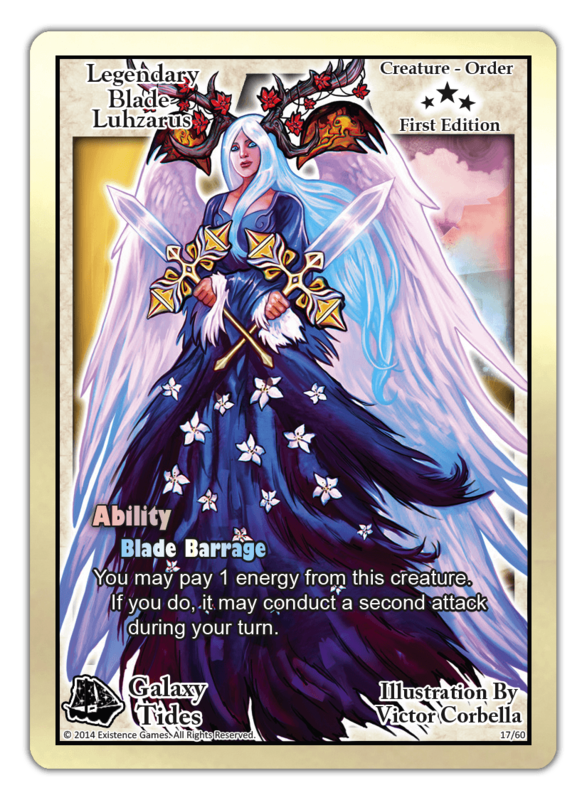 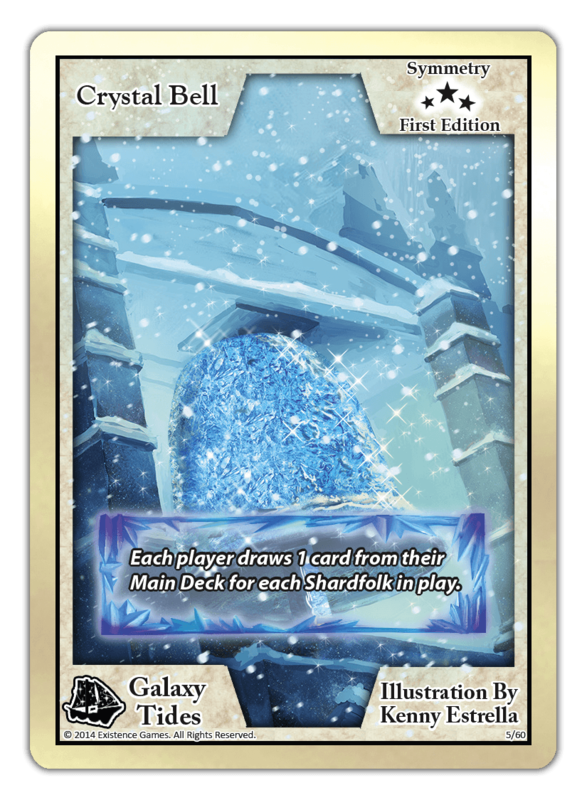 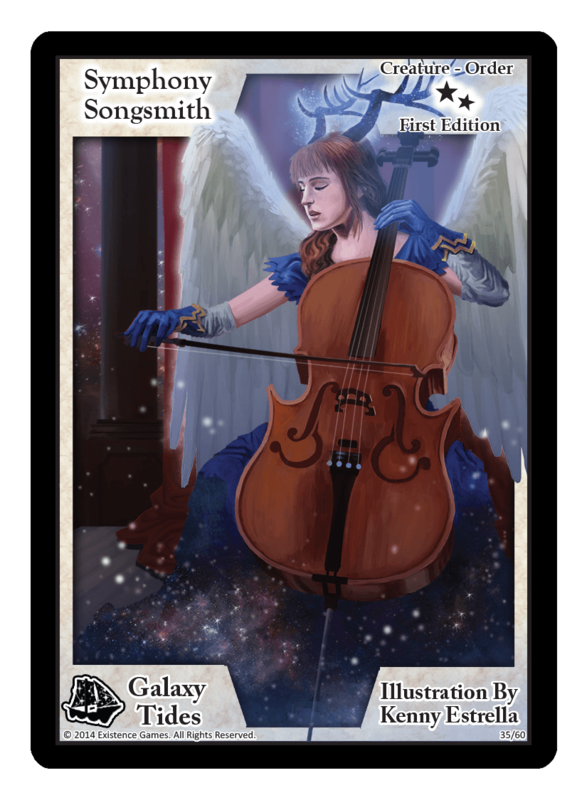 Efil the Everlasting Empress cannot be found in packs, only as the fixed box topper which is 1 per sealed box. 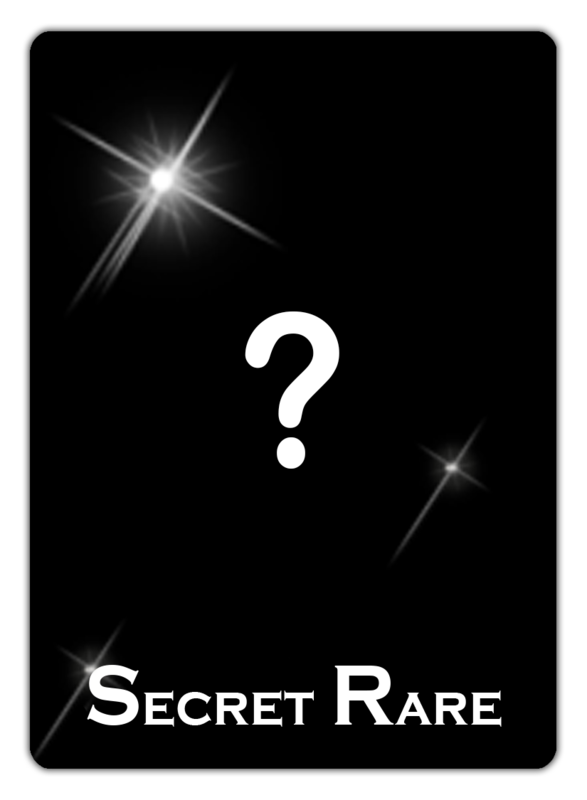 The mystery SR replaces a random foil in a pack and is only found 1 per case of 12 boxes! 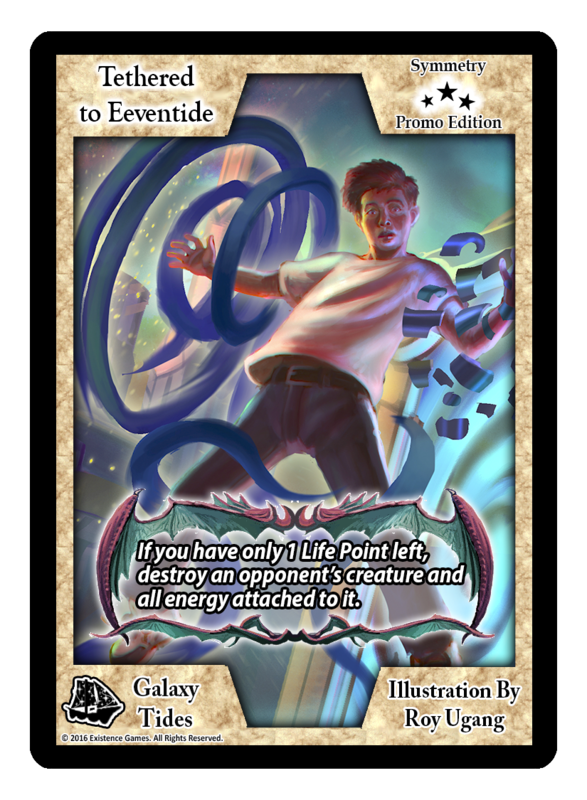 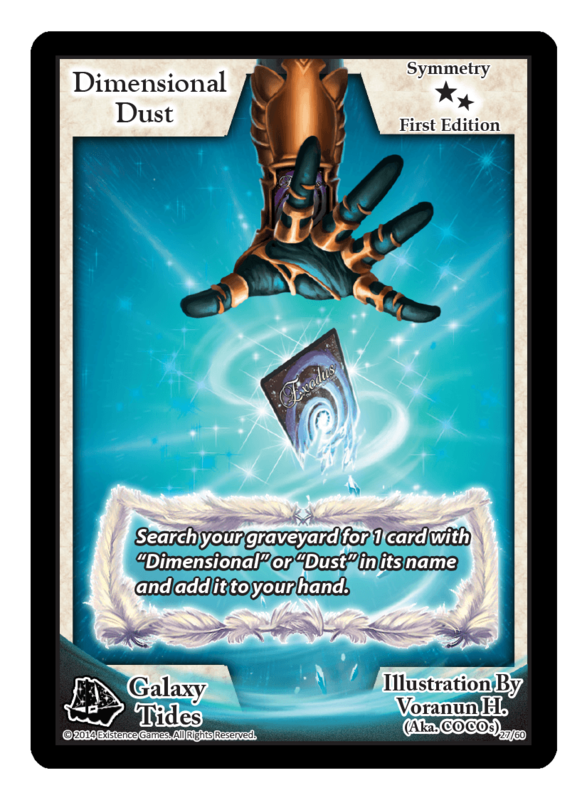 Promo cards cannot be found inside any sealed product, but are instead obtained through game promotions and events!